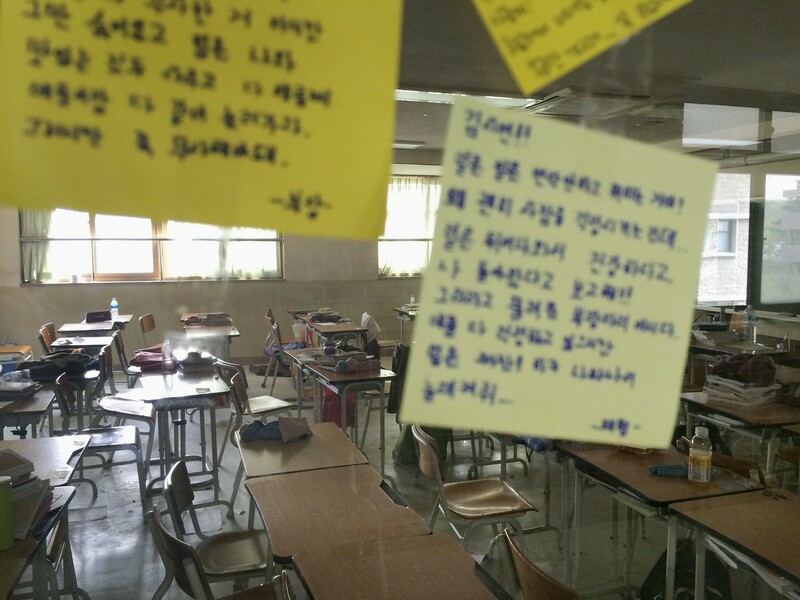 A flower and notes wishing for the safe return of missing students from Wednesday’s ferry sinking are attached to a window at Danwon High School in Ansan, Gyeonggi Province, Friday. 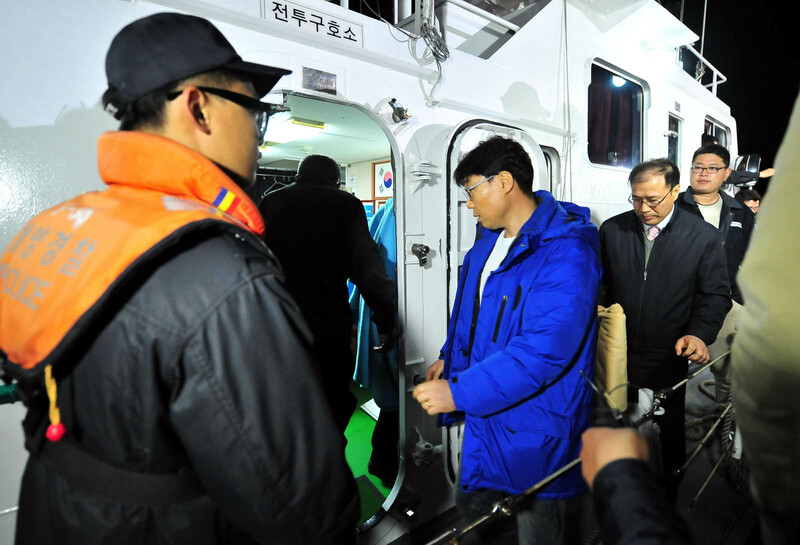 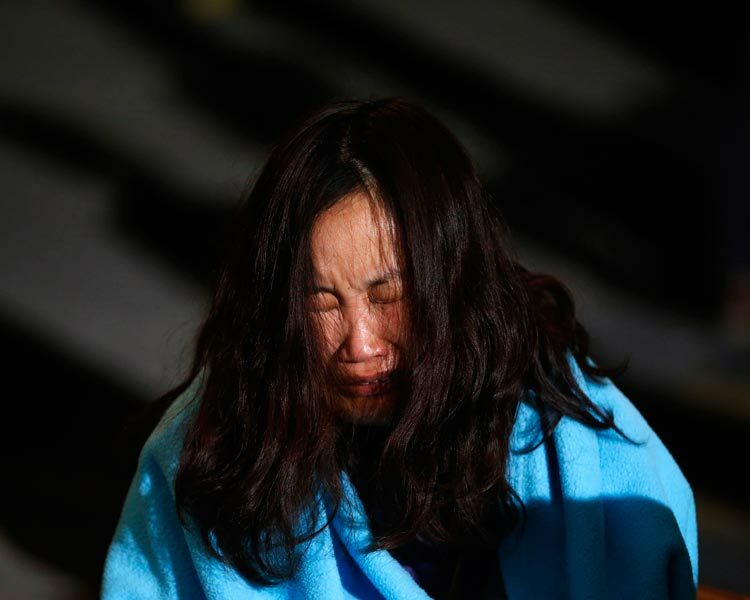 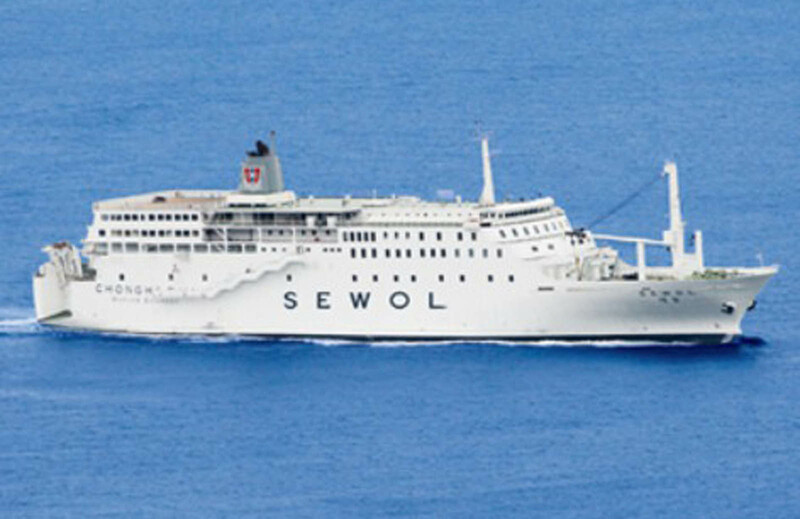 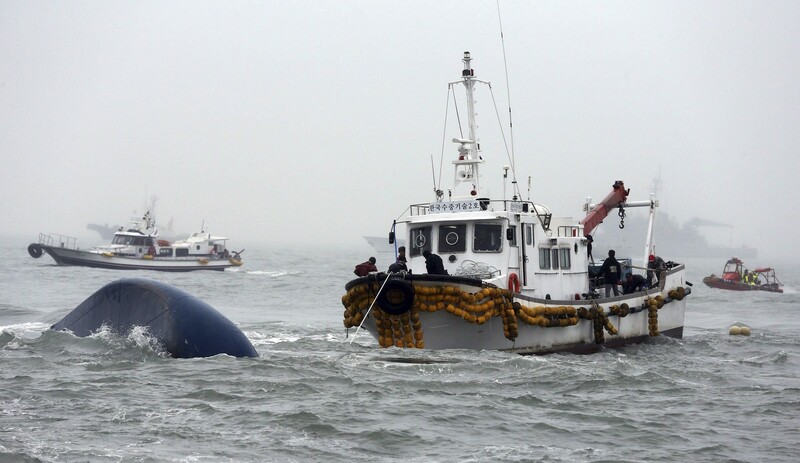 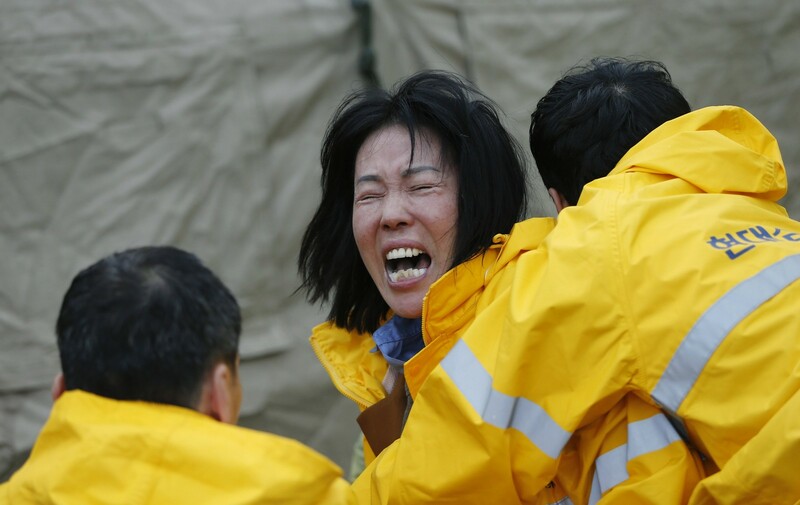 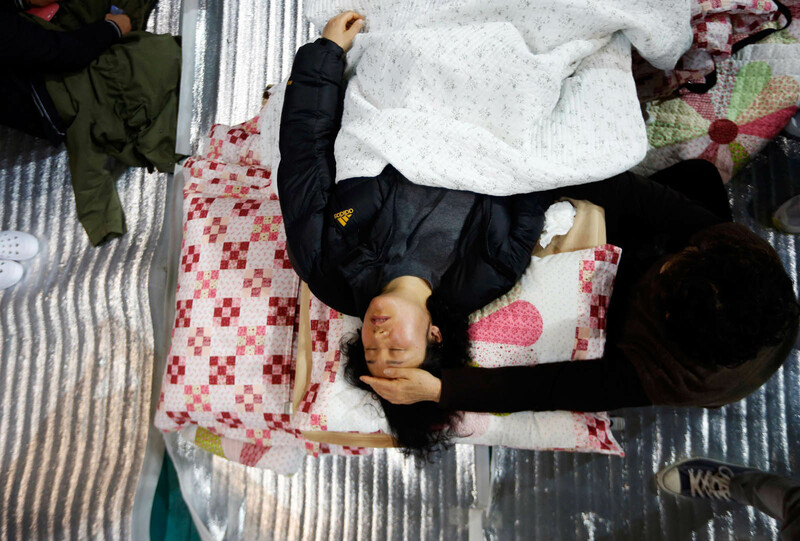 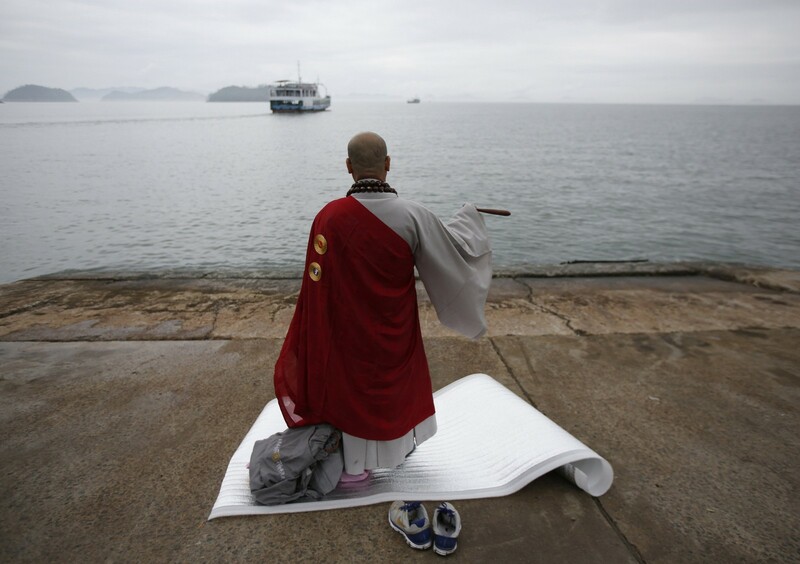 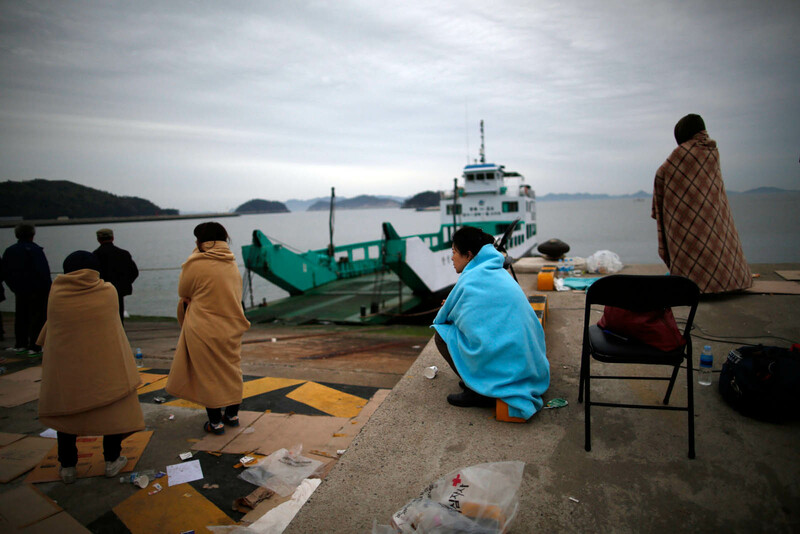 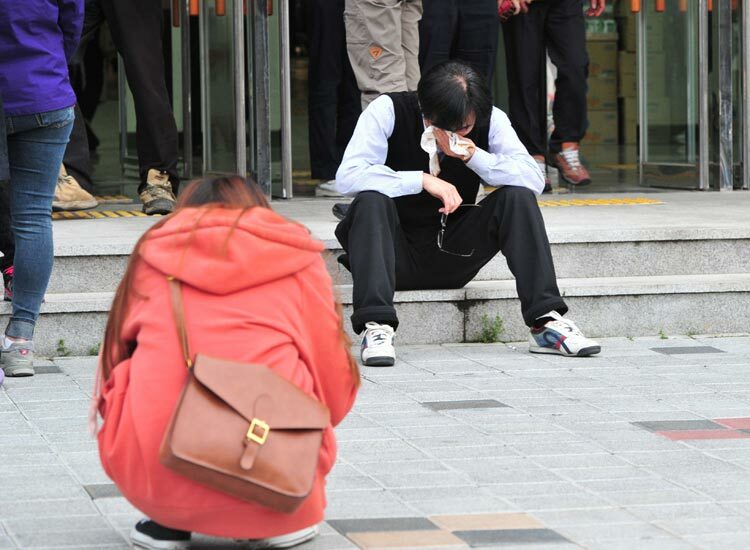 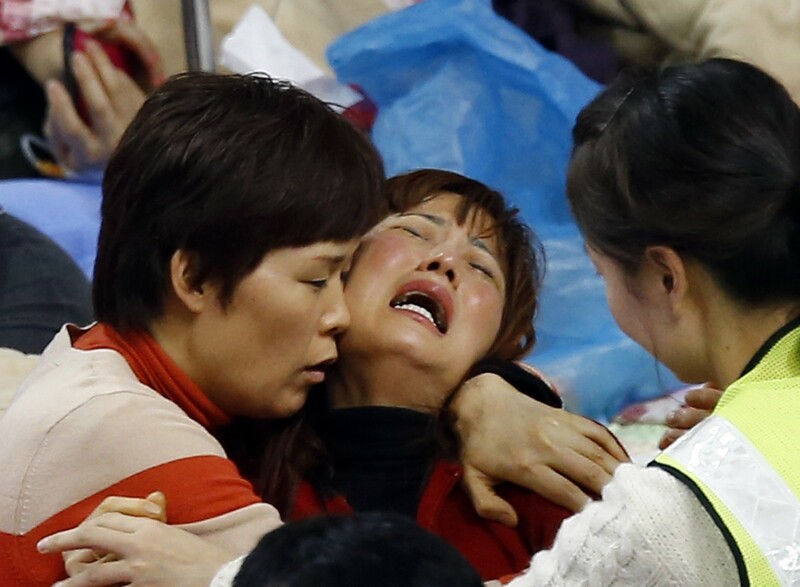 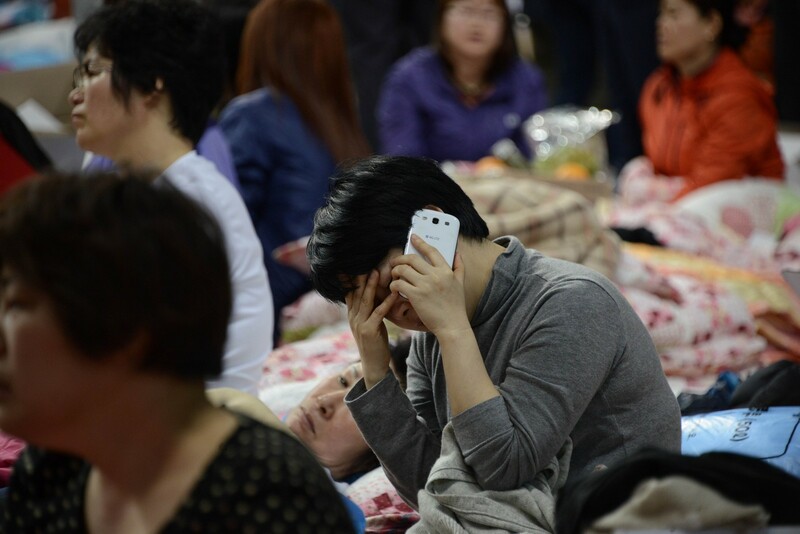 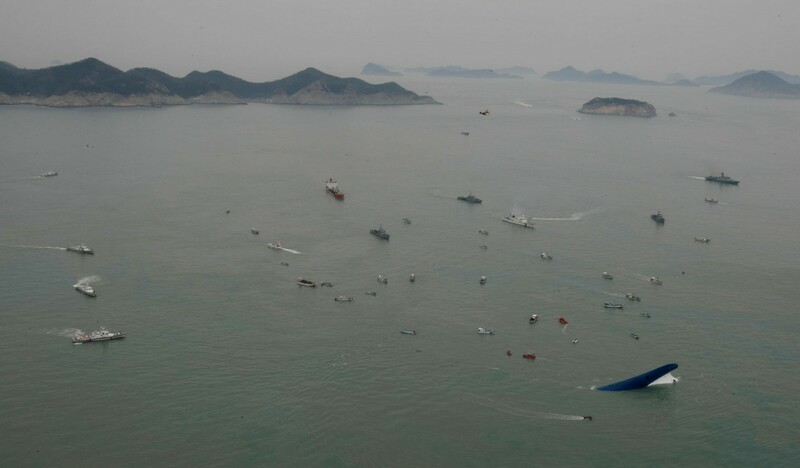 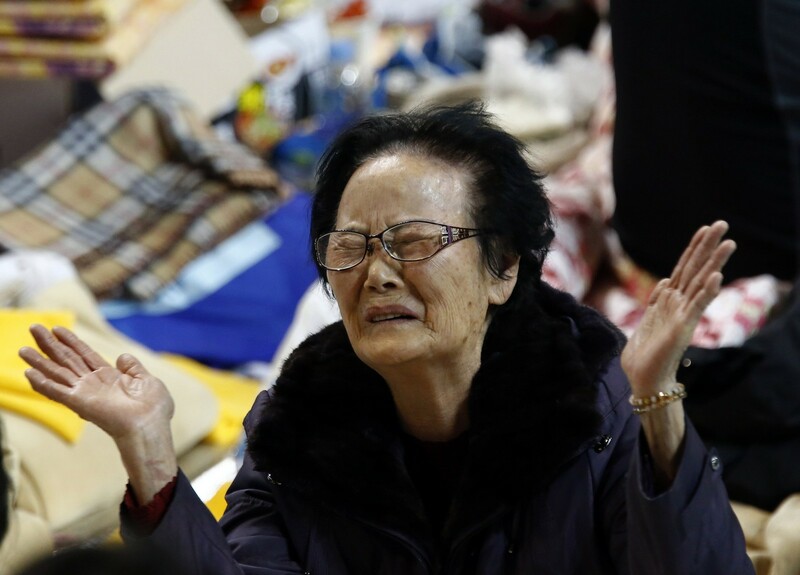 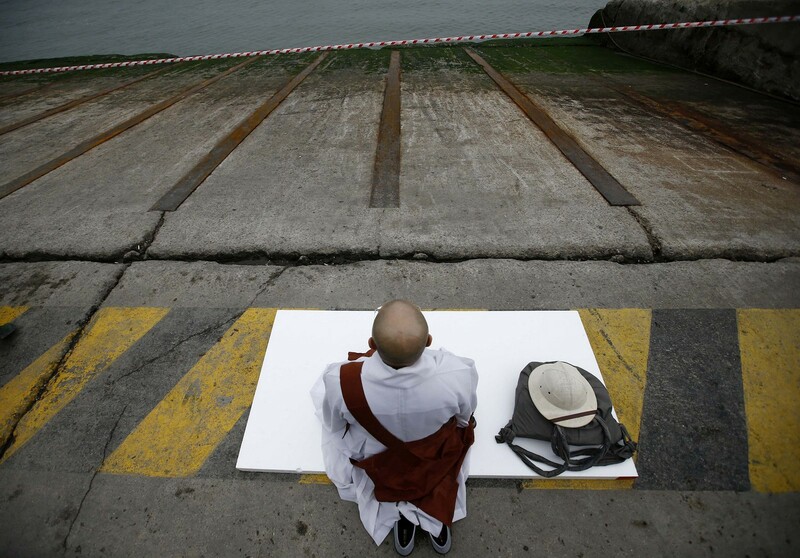 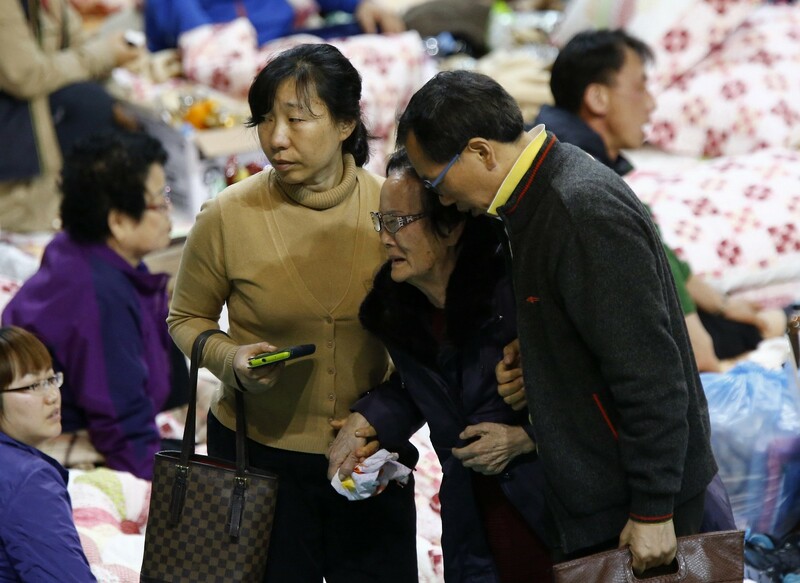 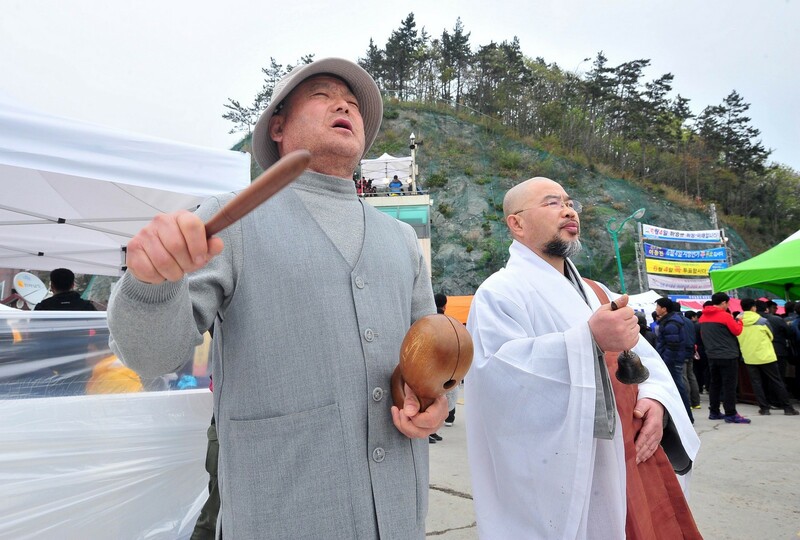 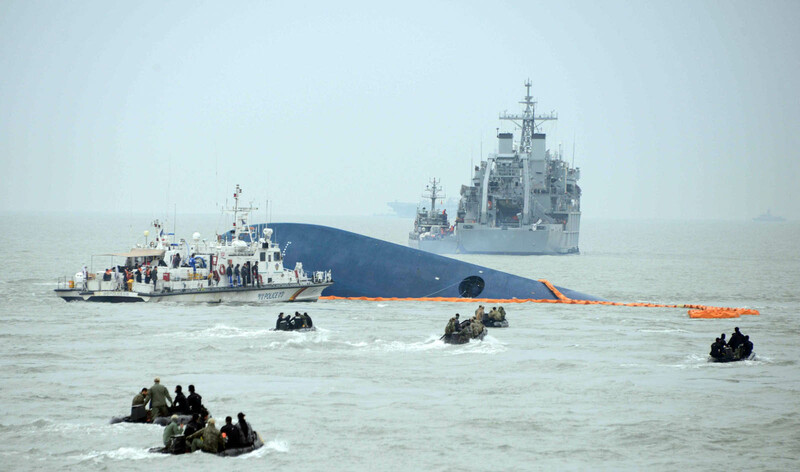 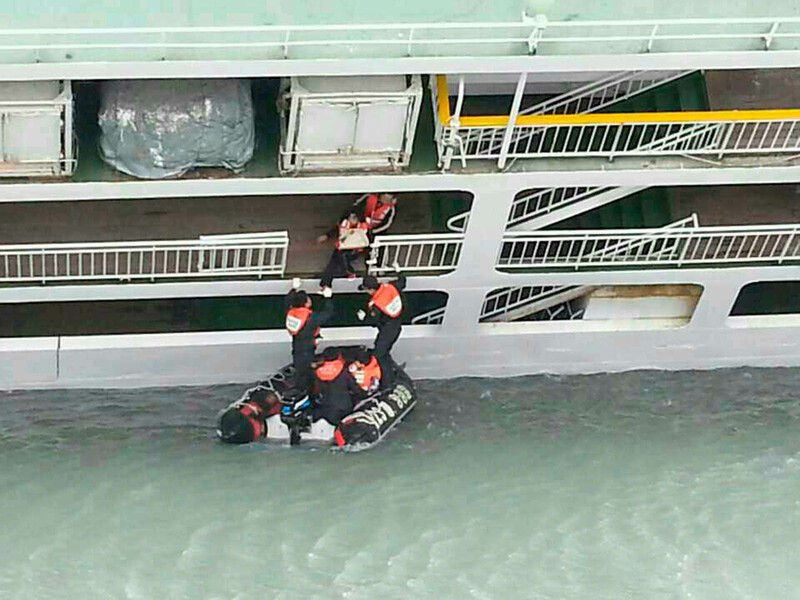 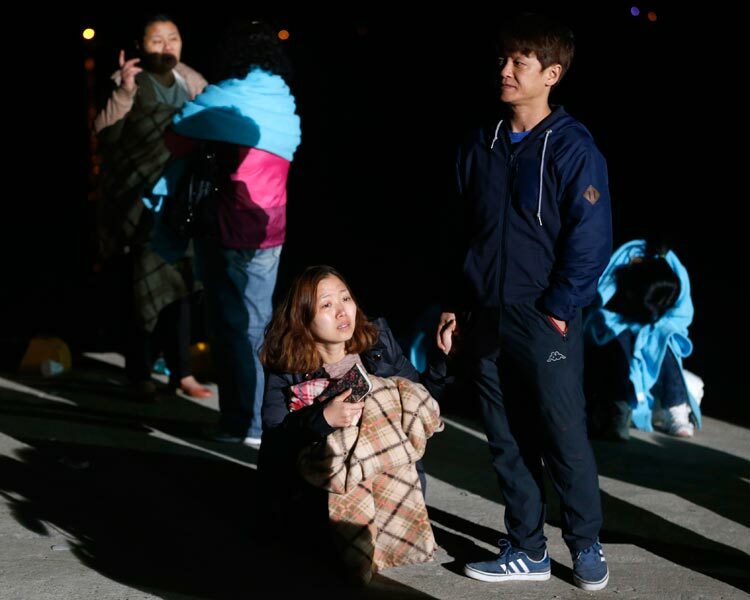 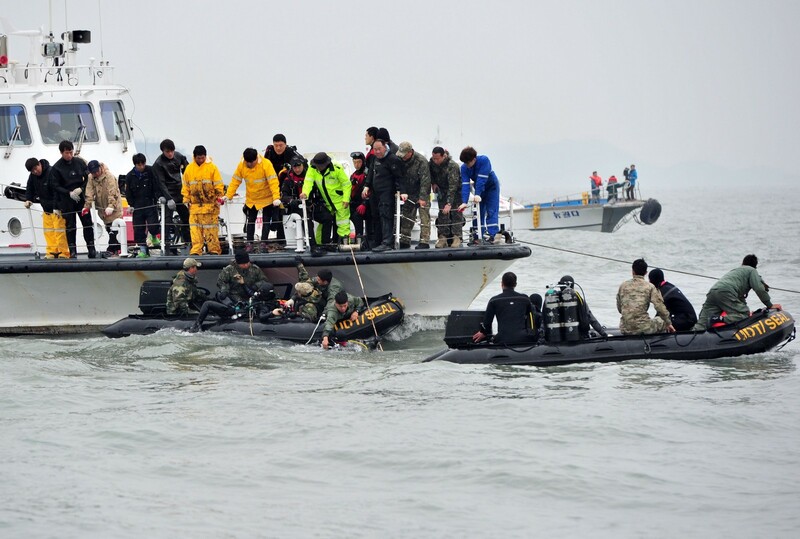 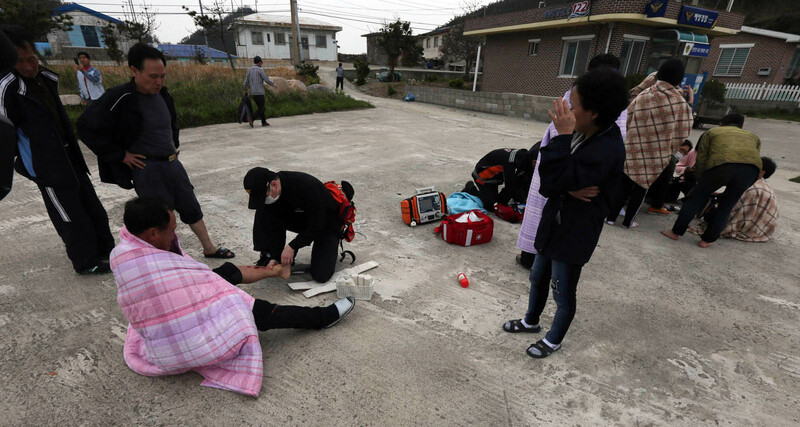 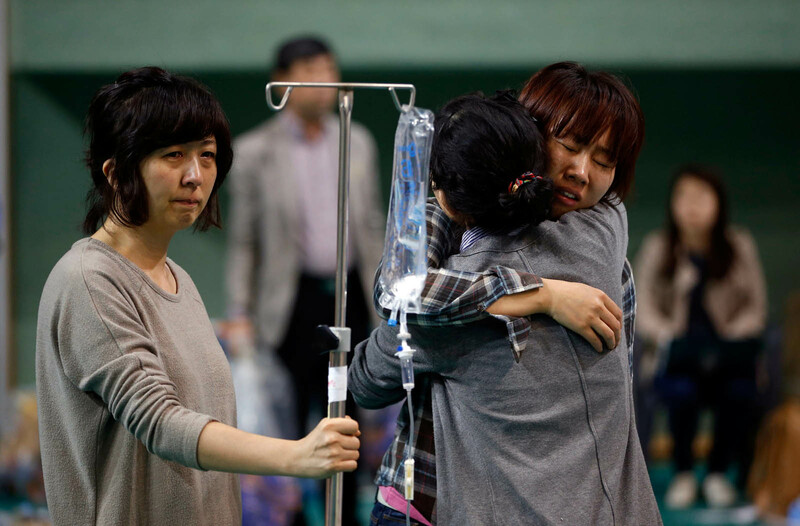 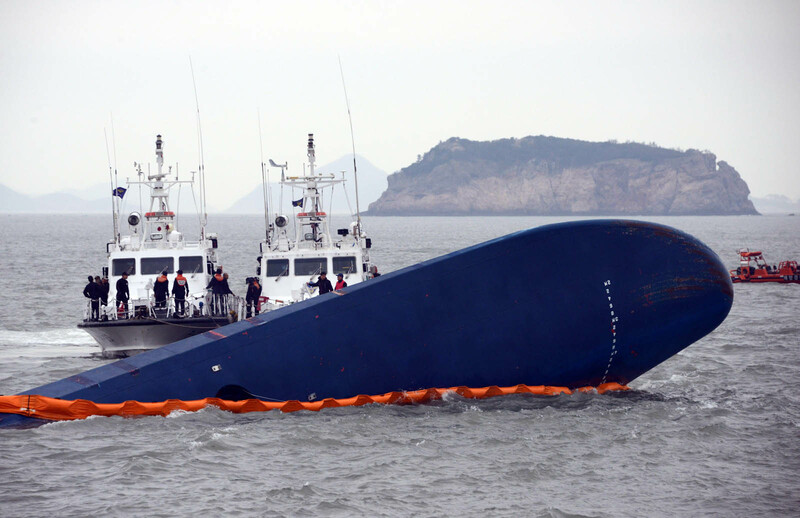 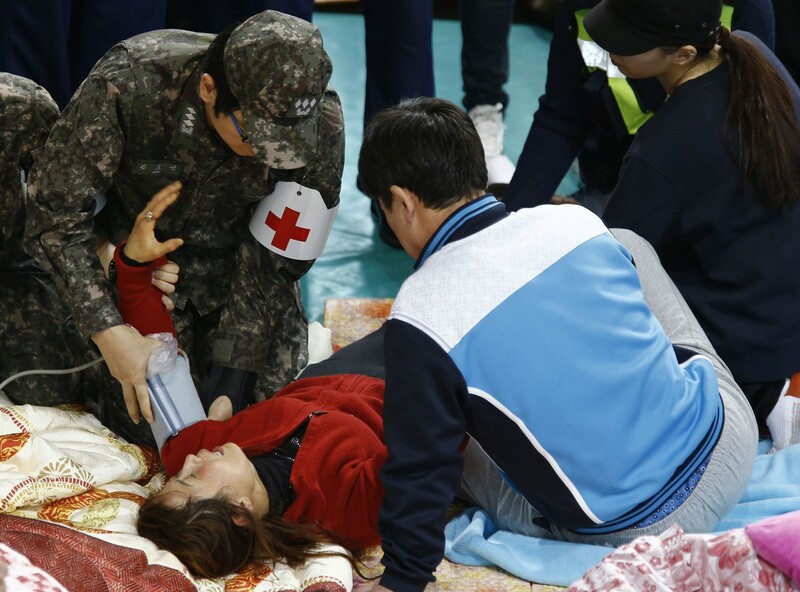 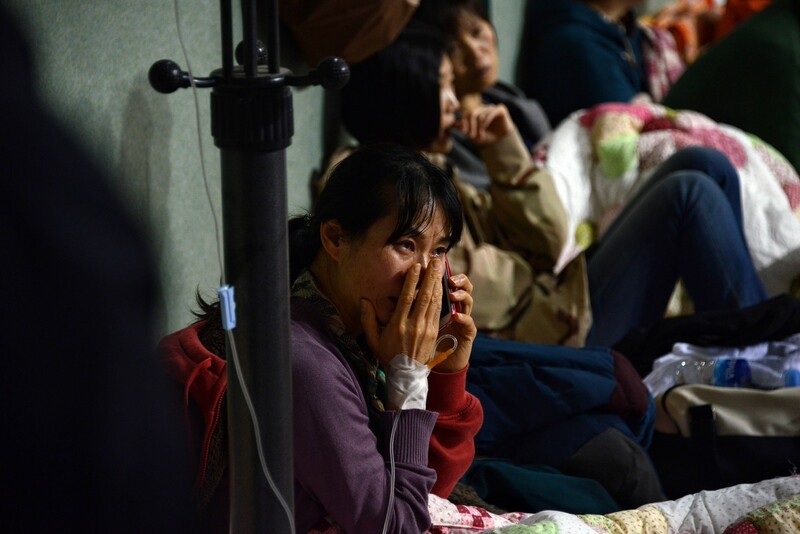 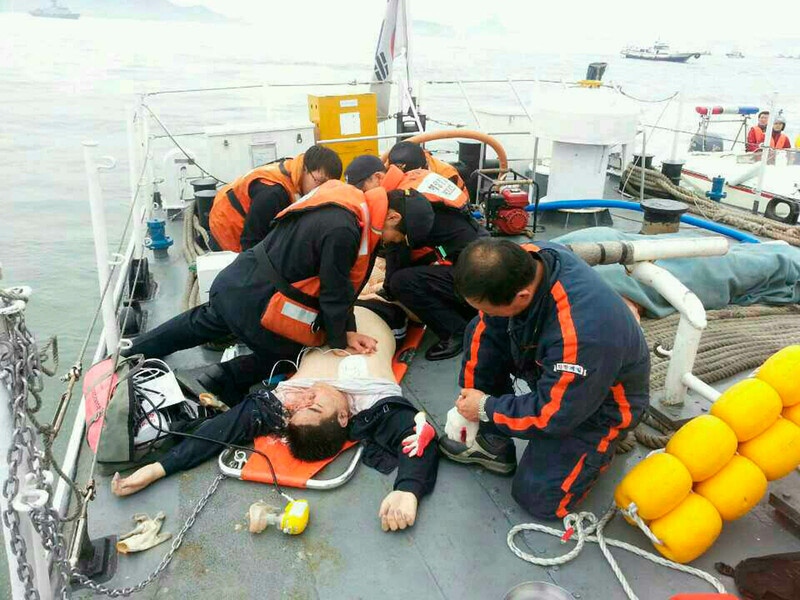 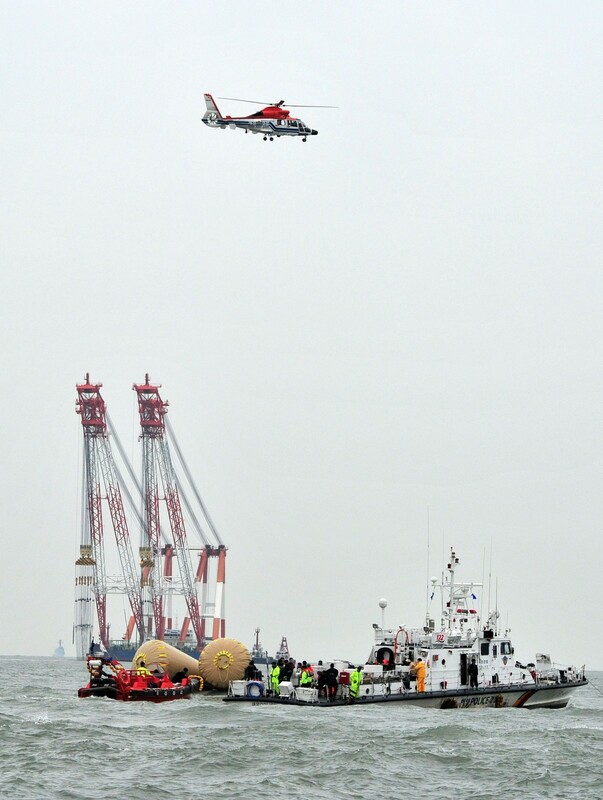 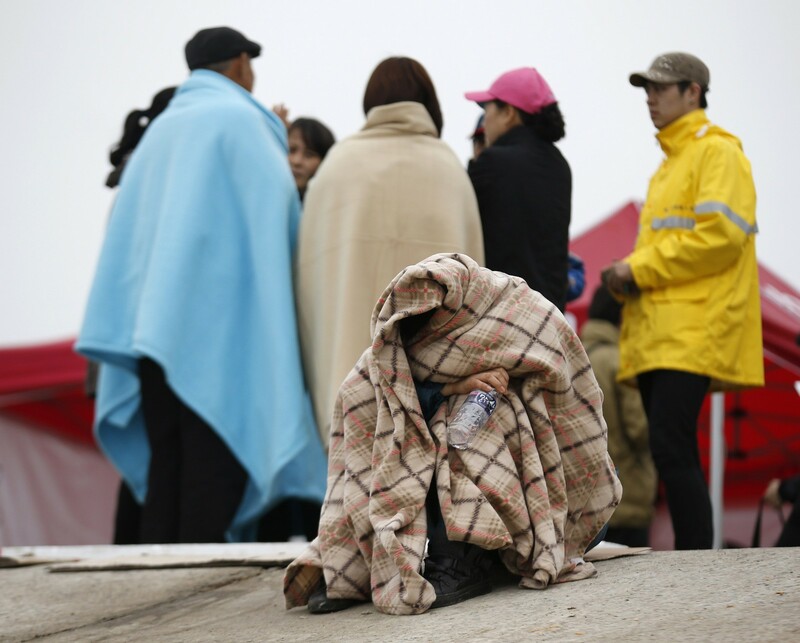 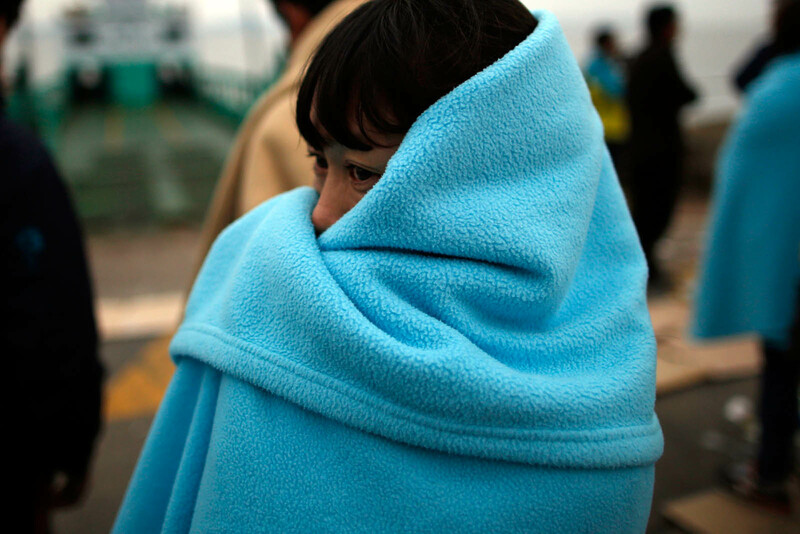 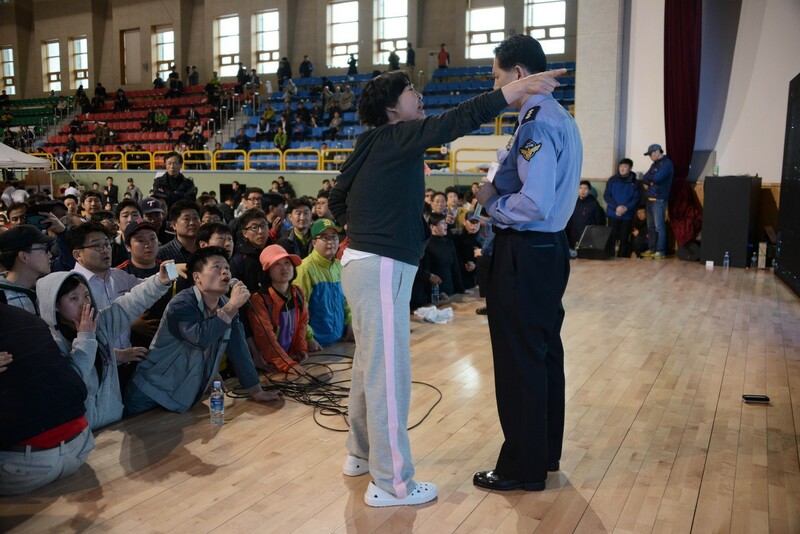 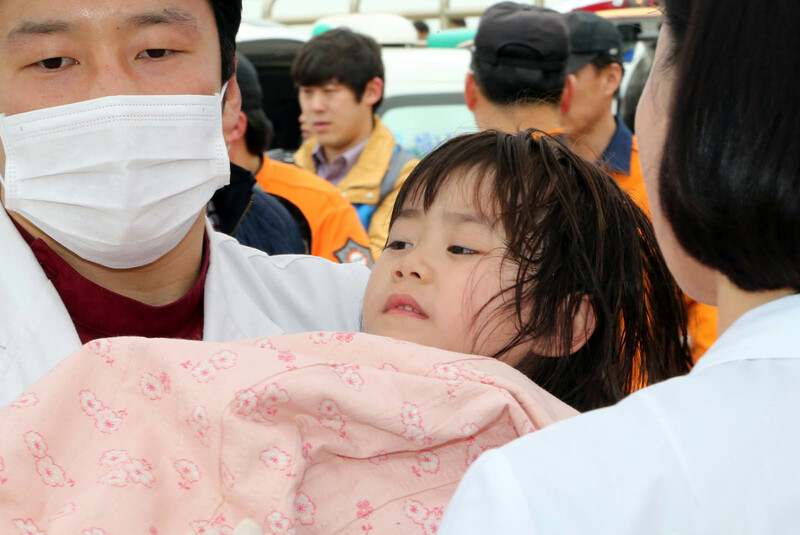 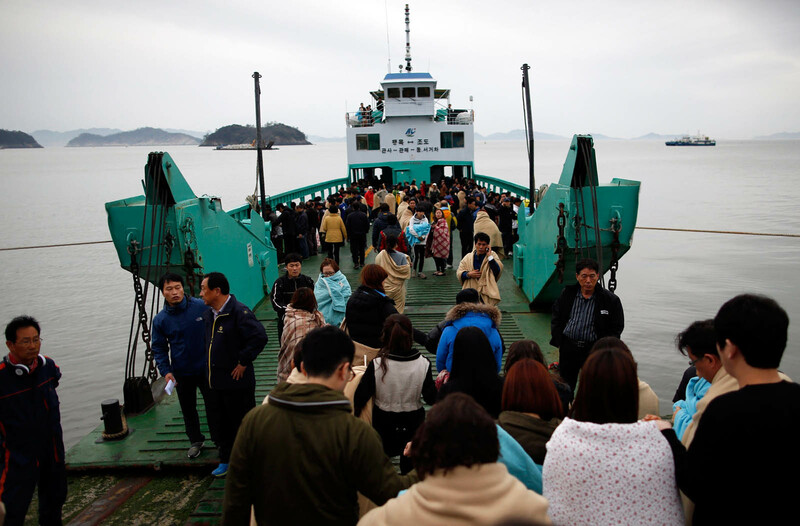 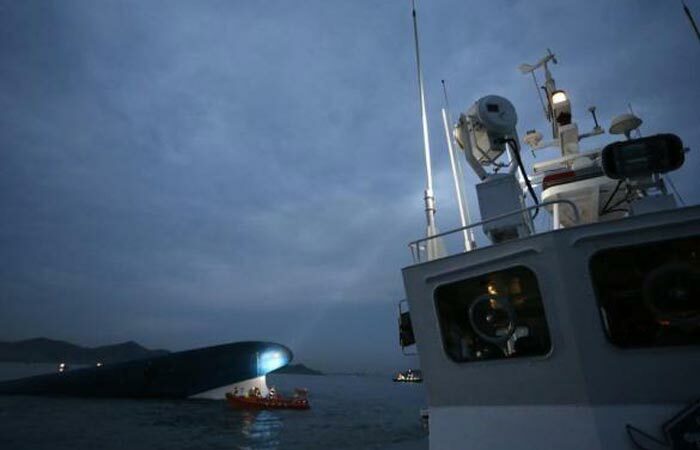 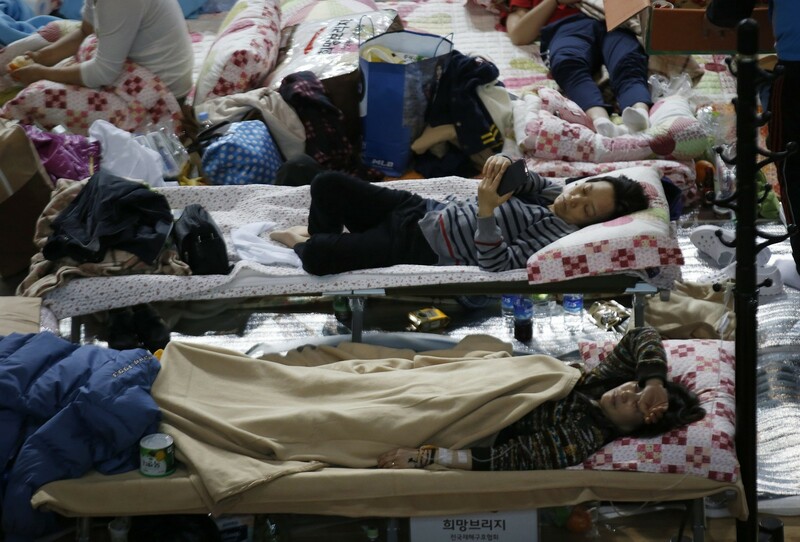 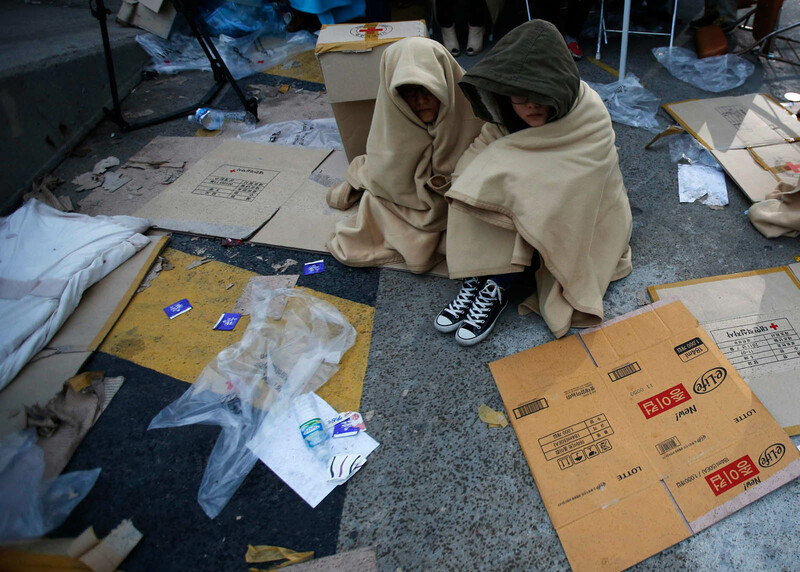 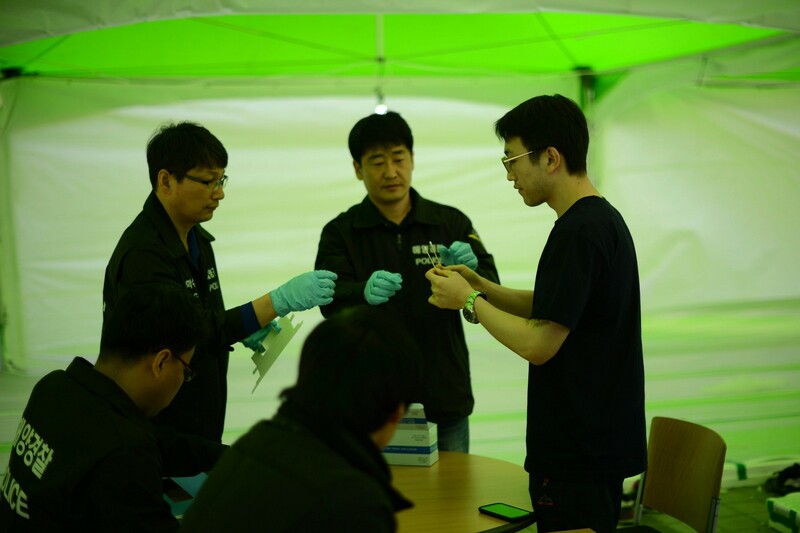 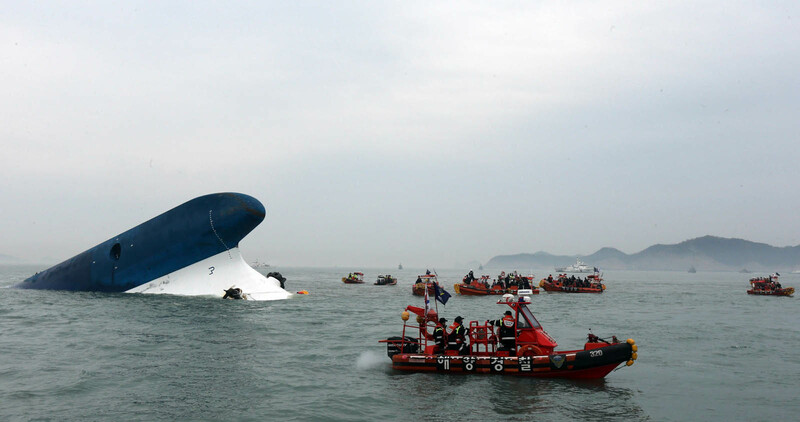 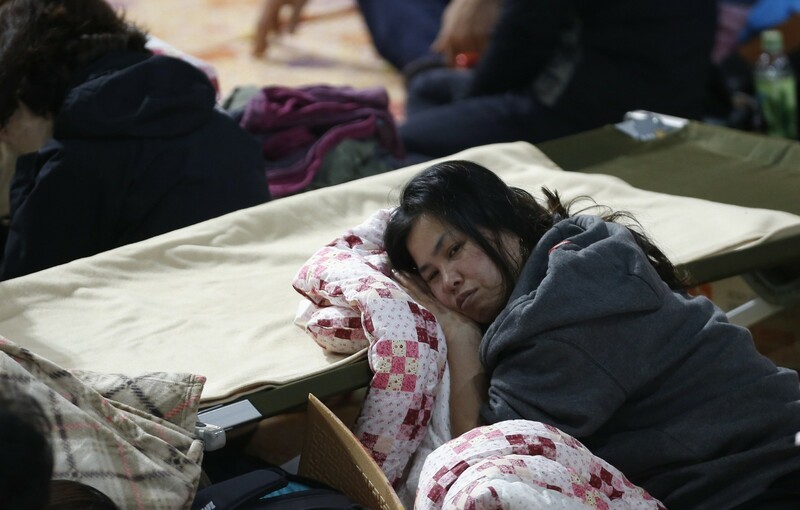 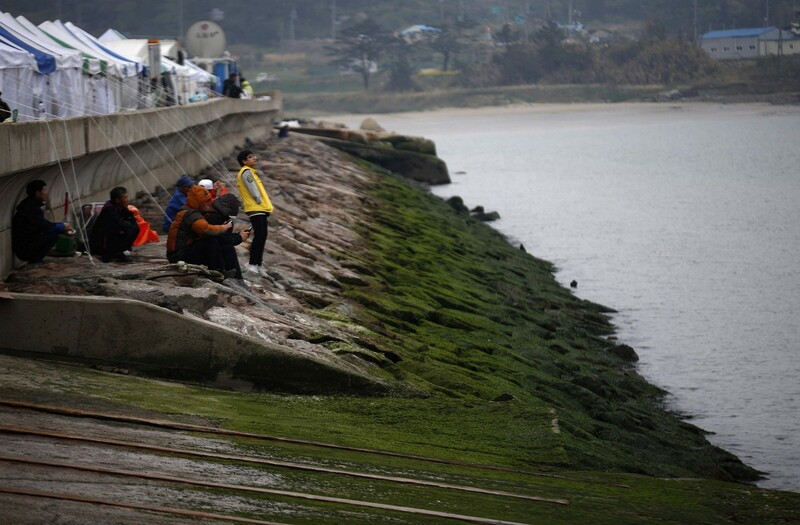 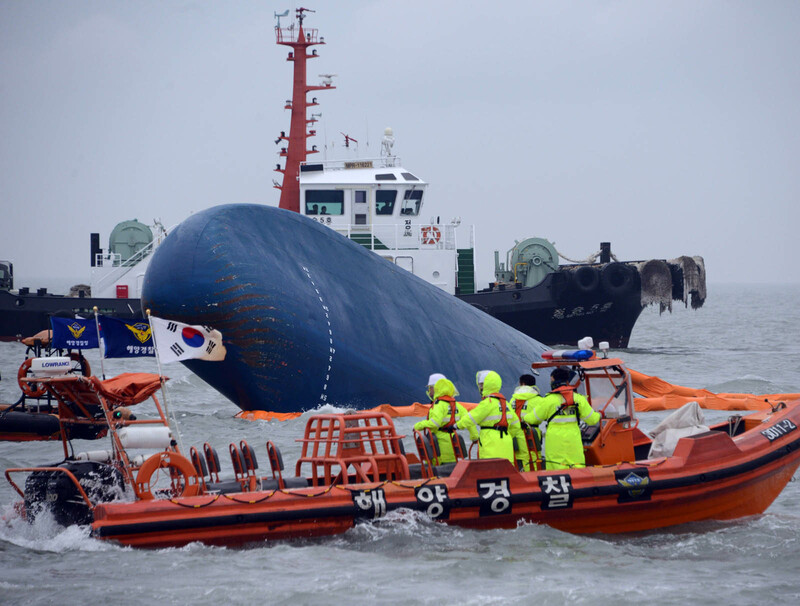 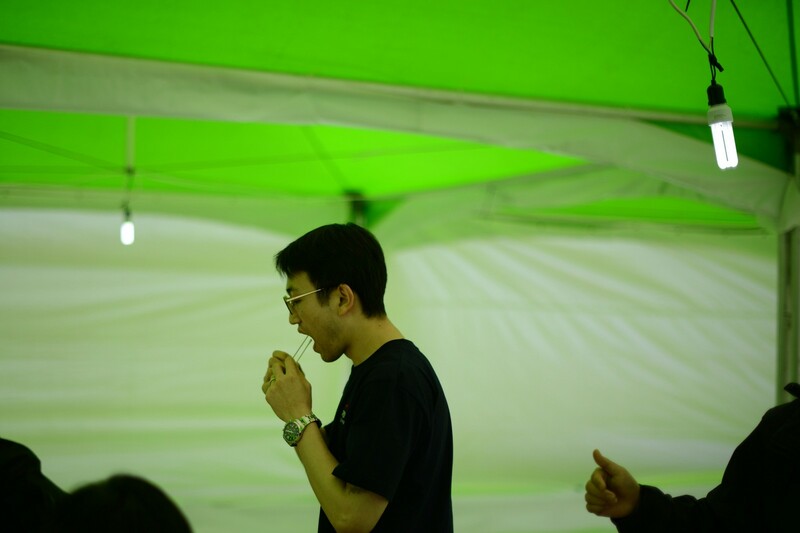 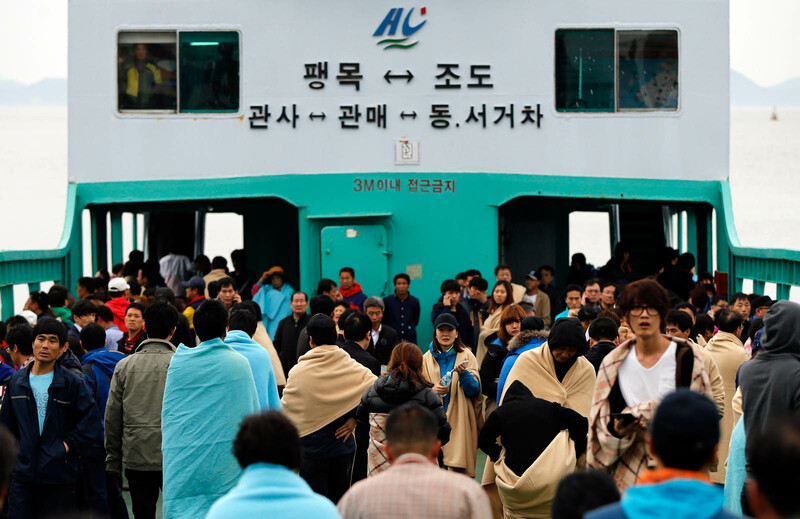 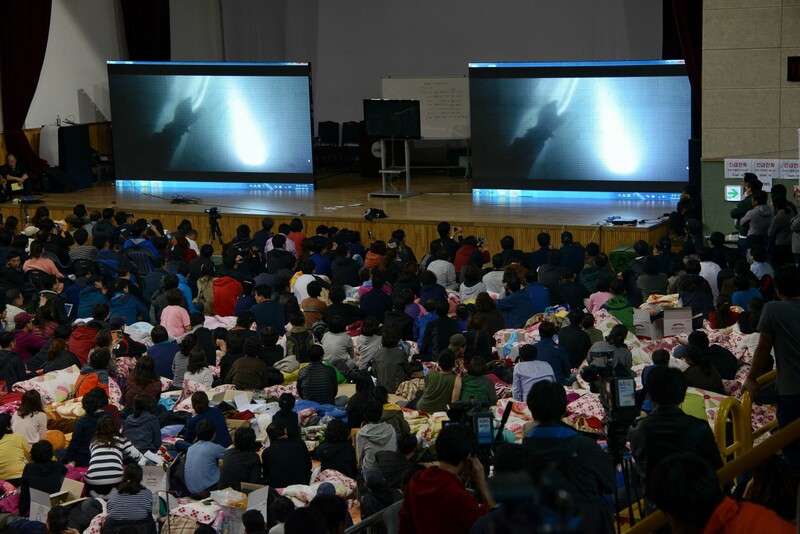 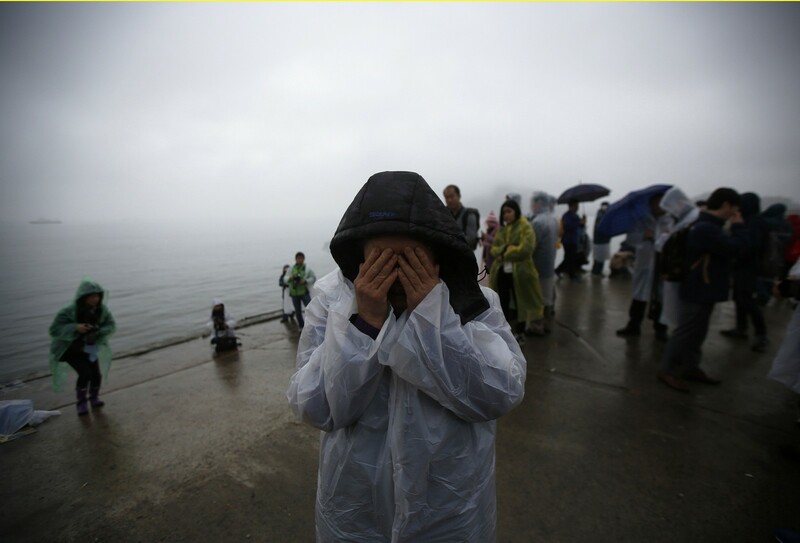 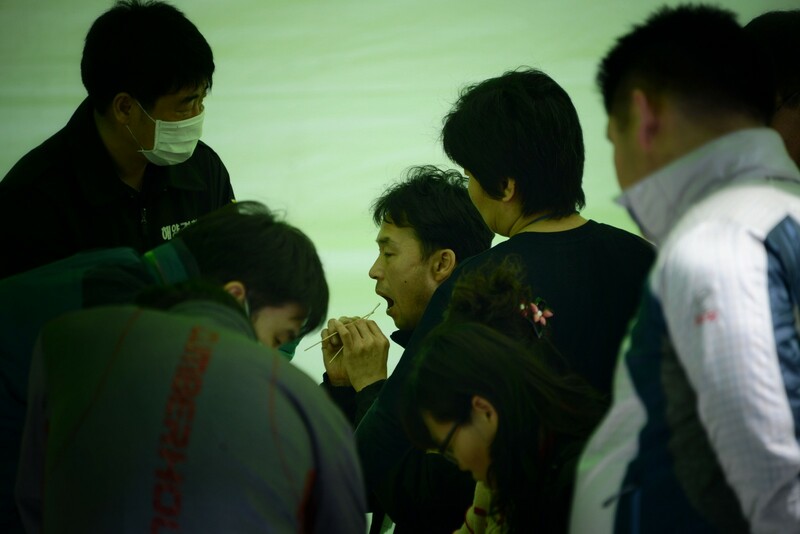 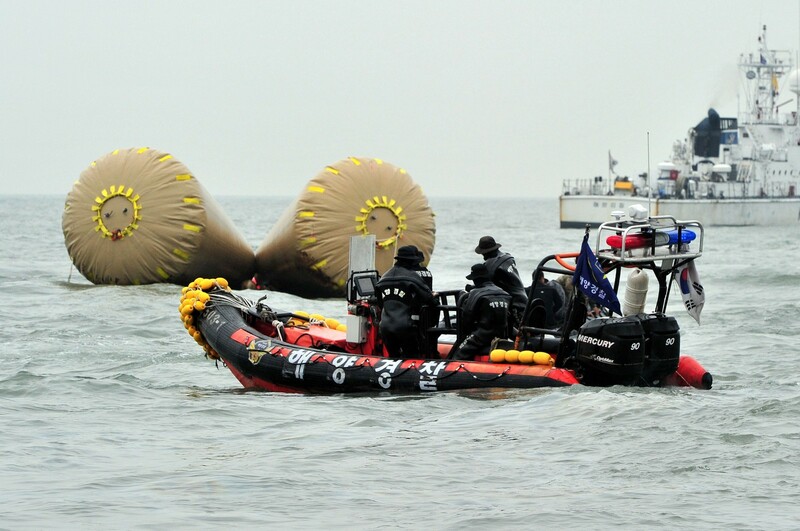 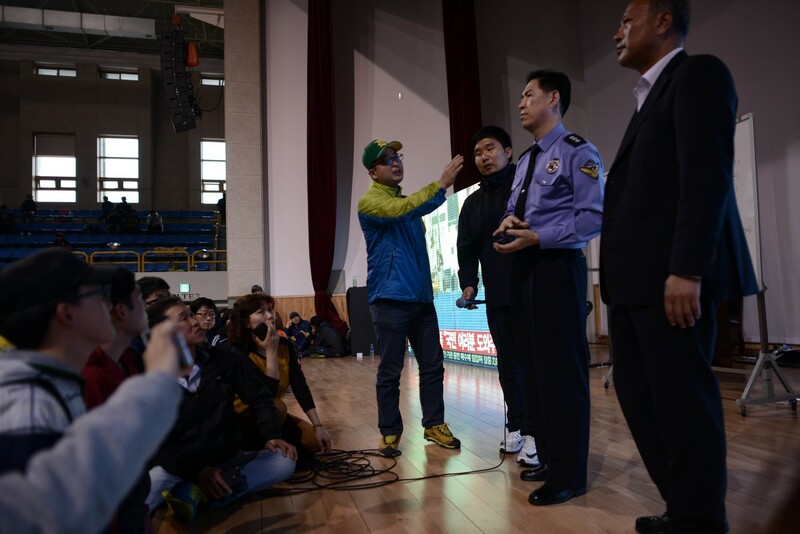 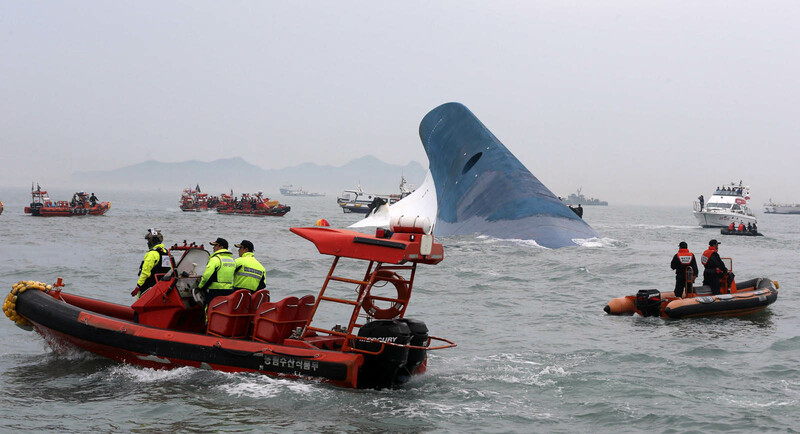 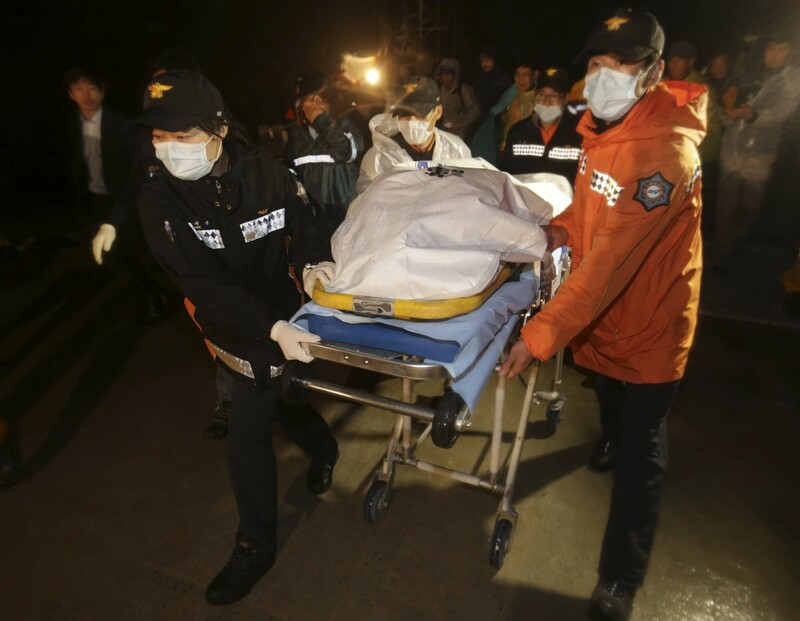 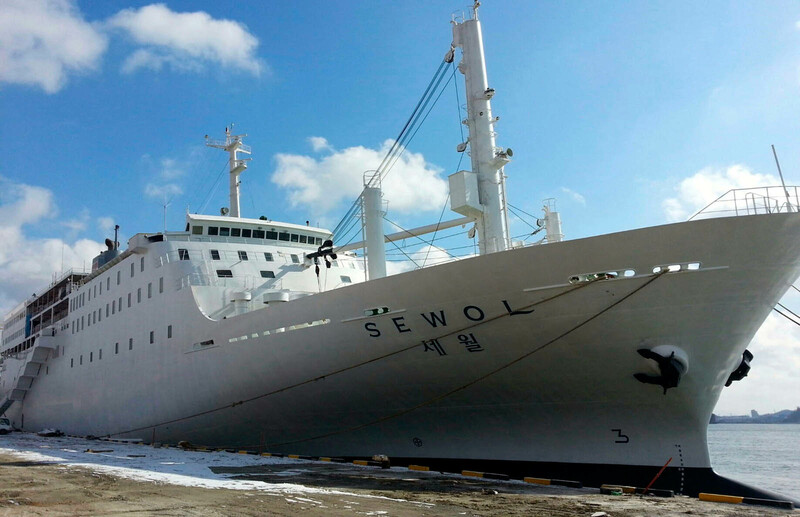 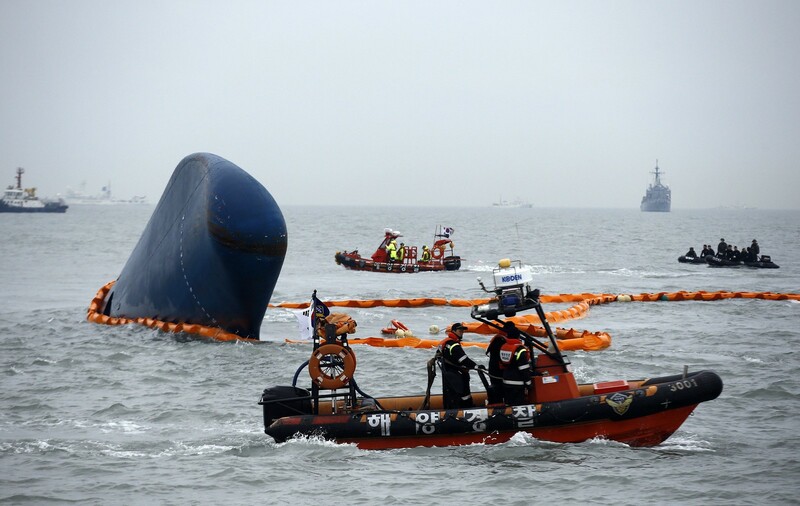 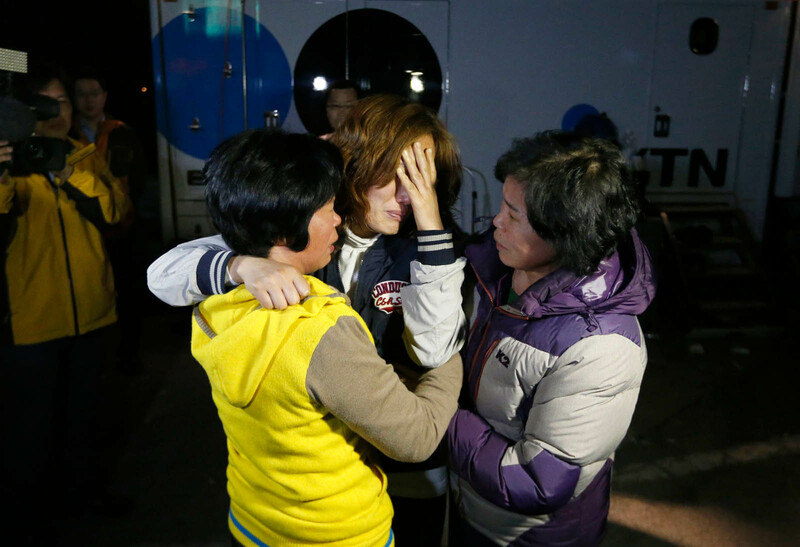 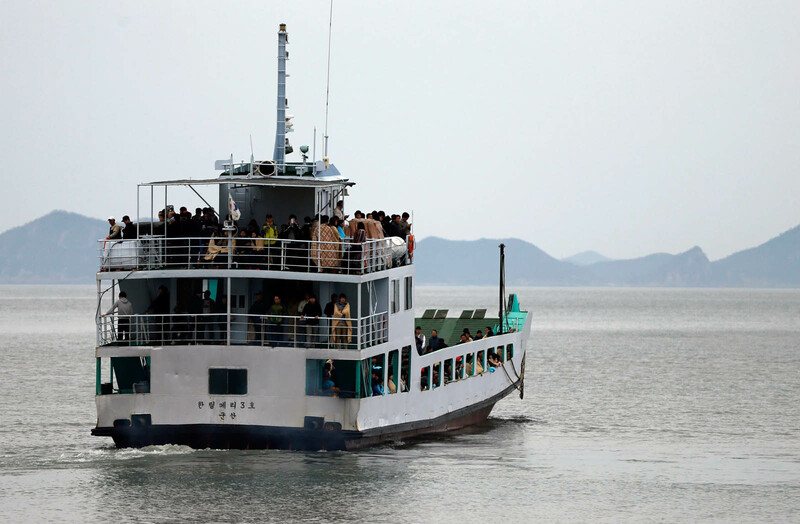 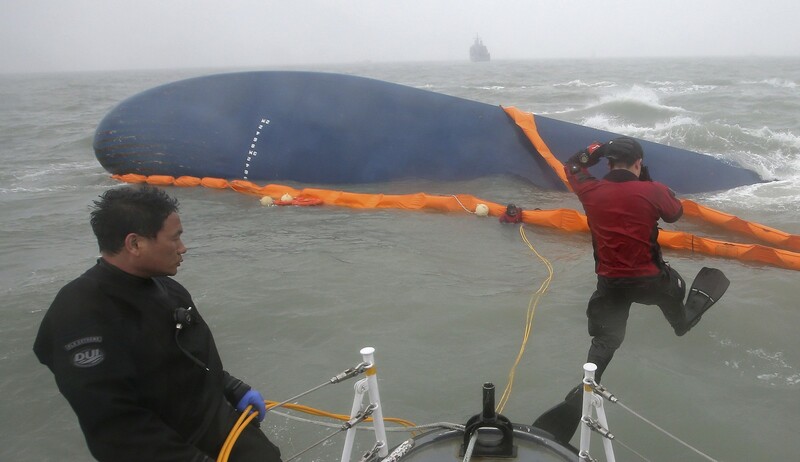 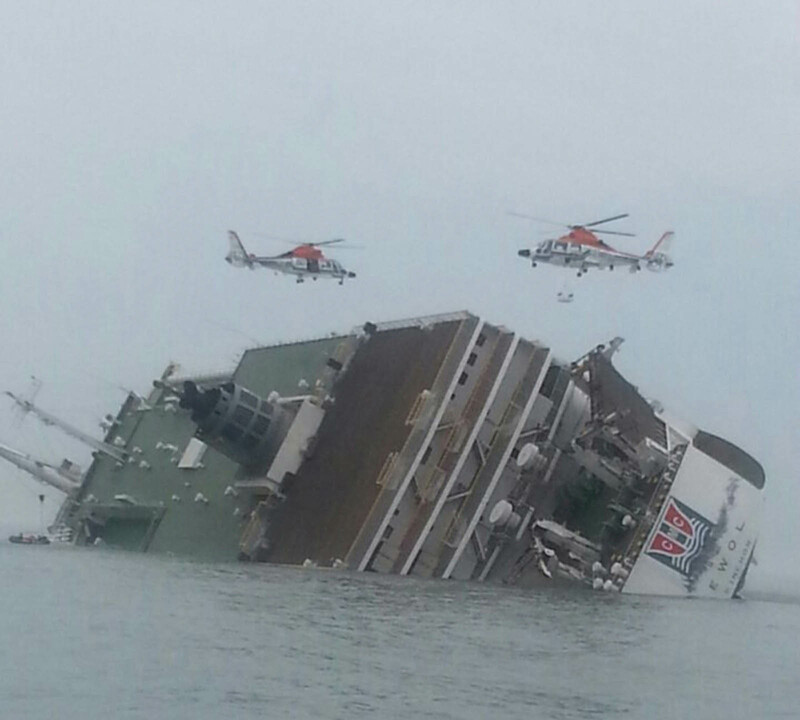 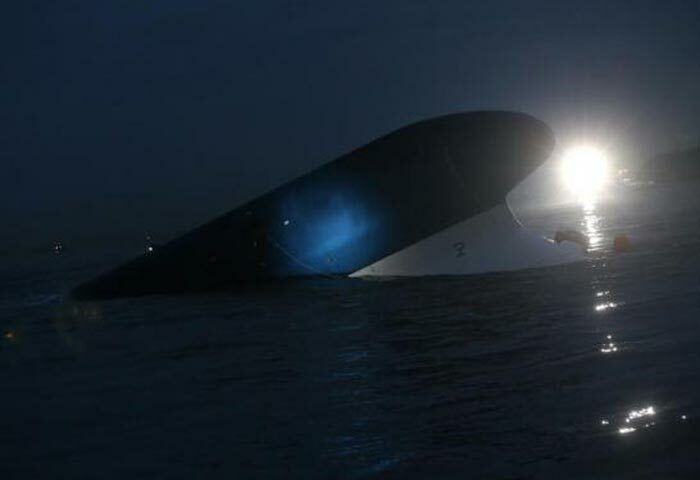 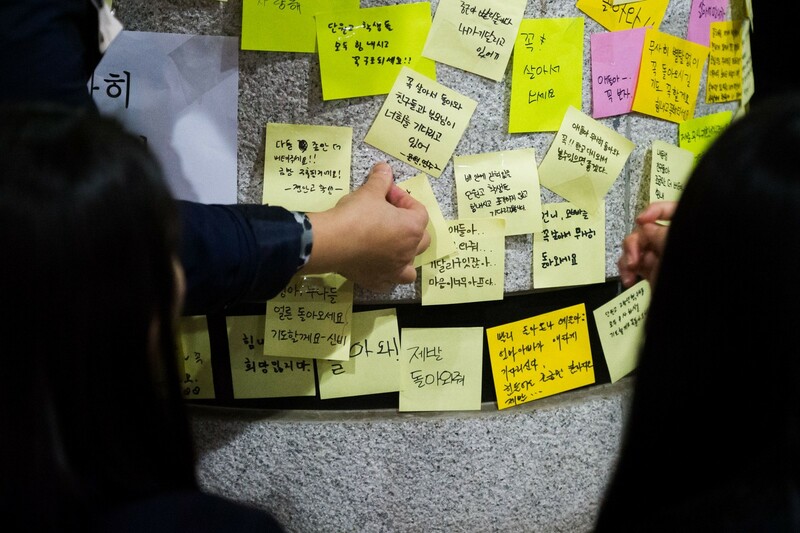 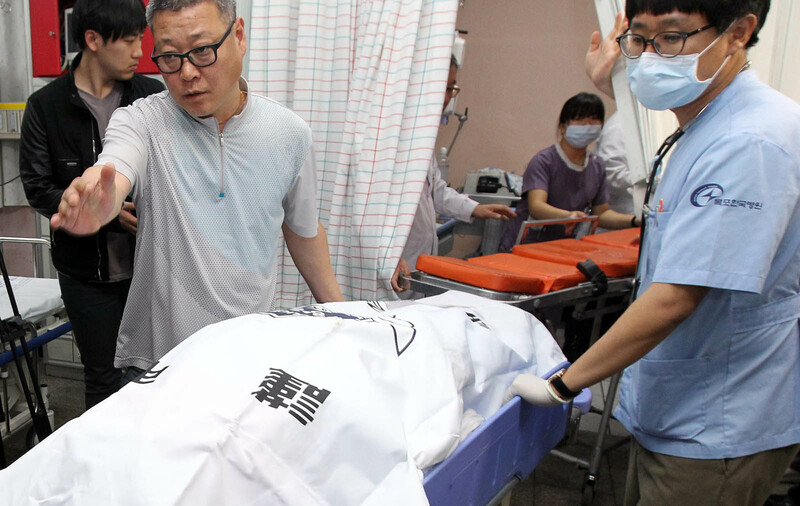 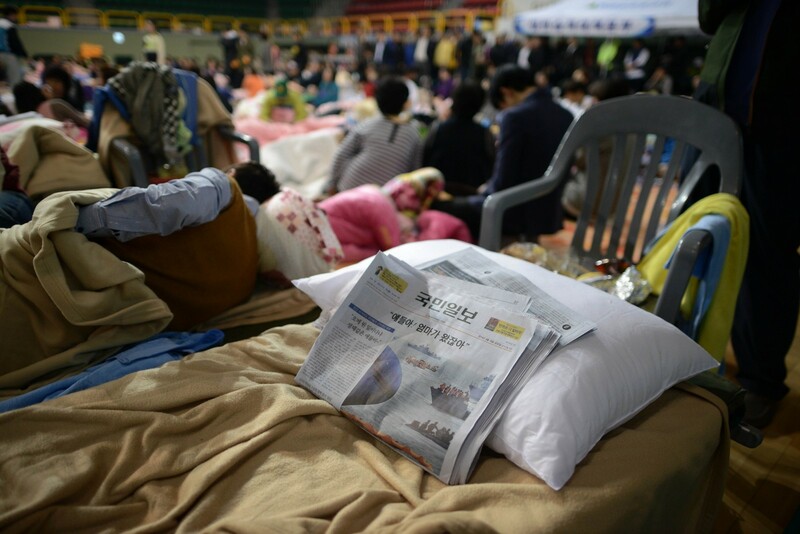 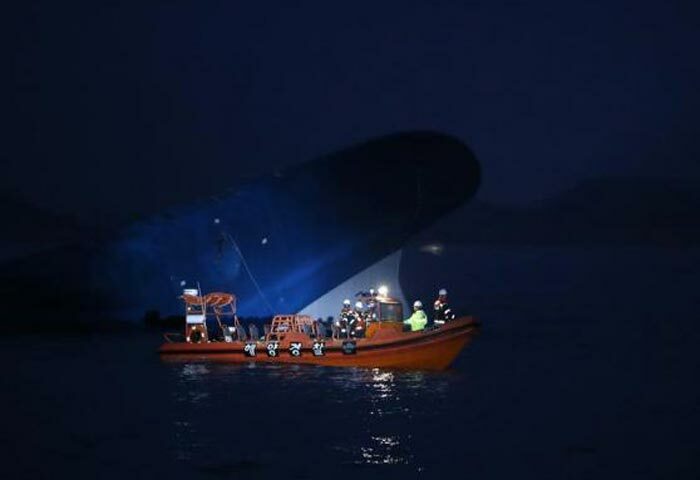 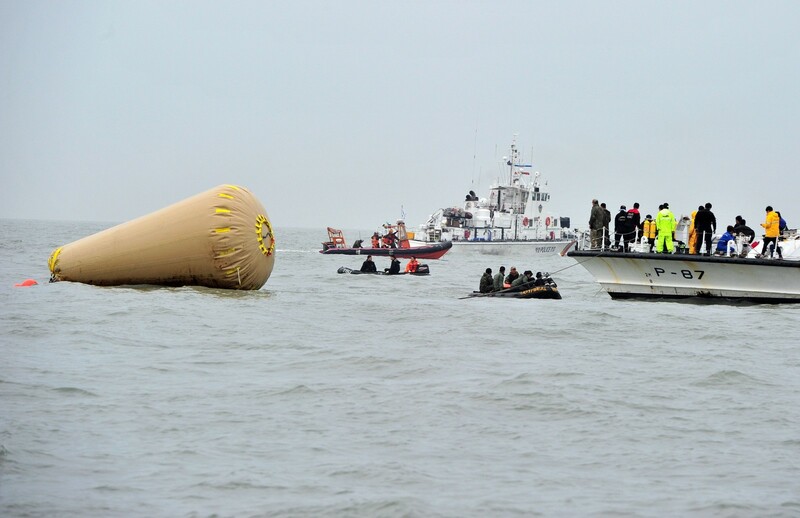 SOUTH KOREA - As pessimism loomed over search-and-rescue operations for possible survivors on the Sewol on Friday, criticism mounted over the government’s response to the fatal incident. 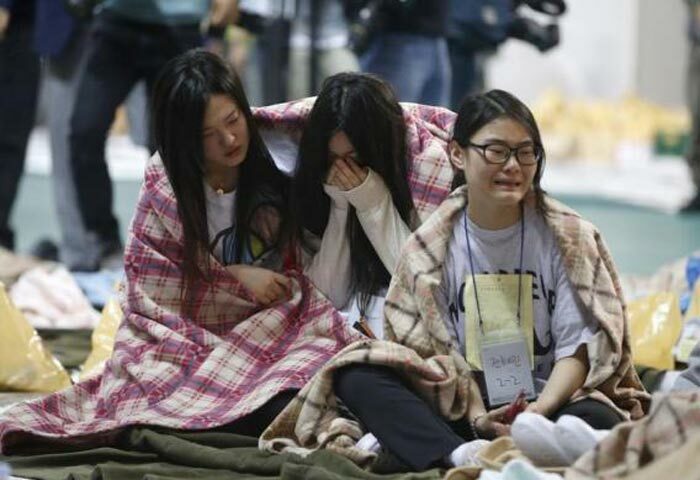 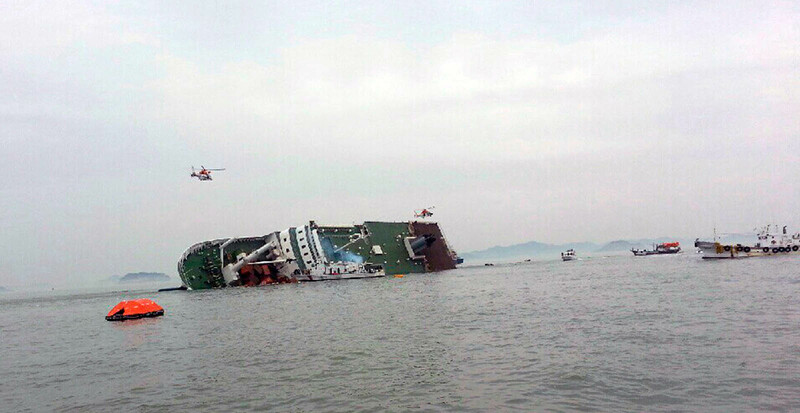 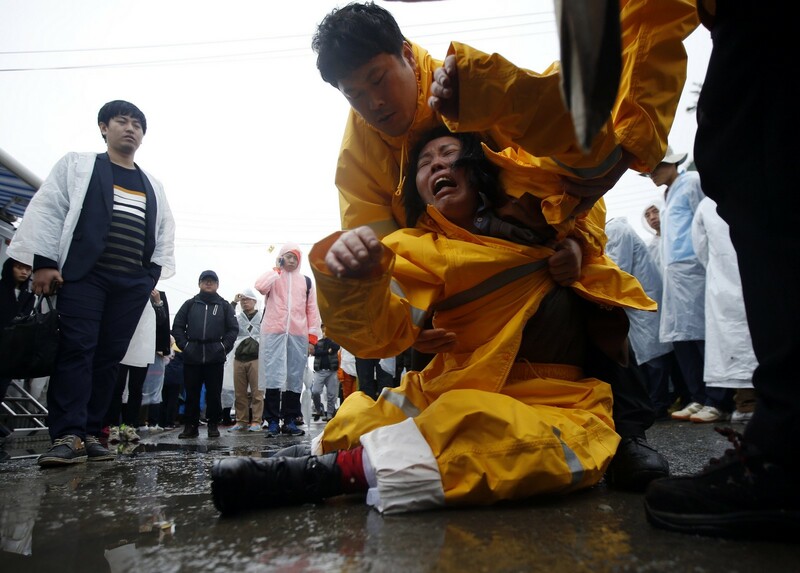 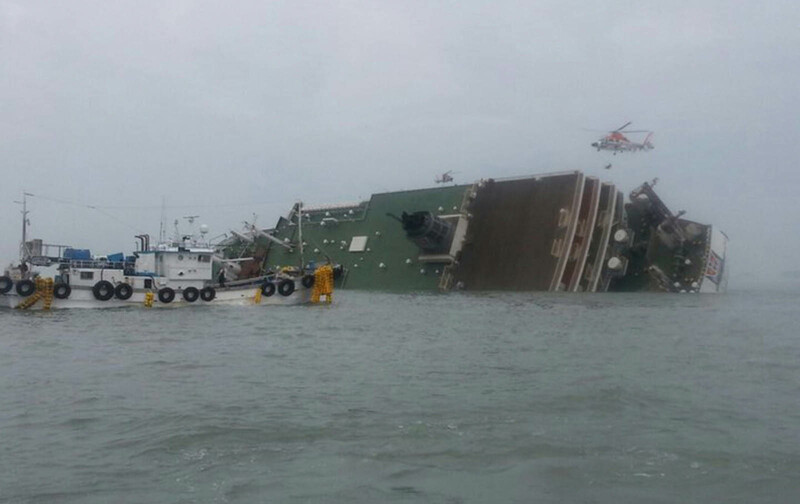 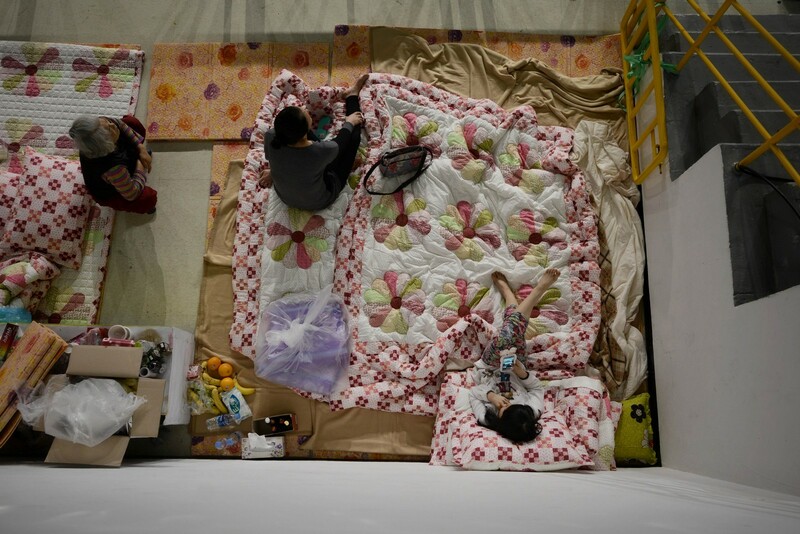 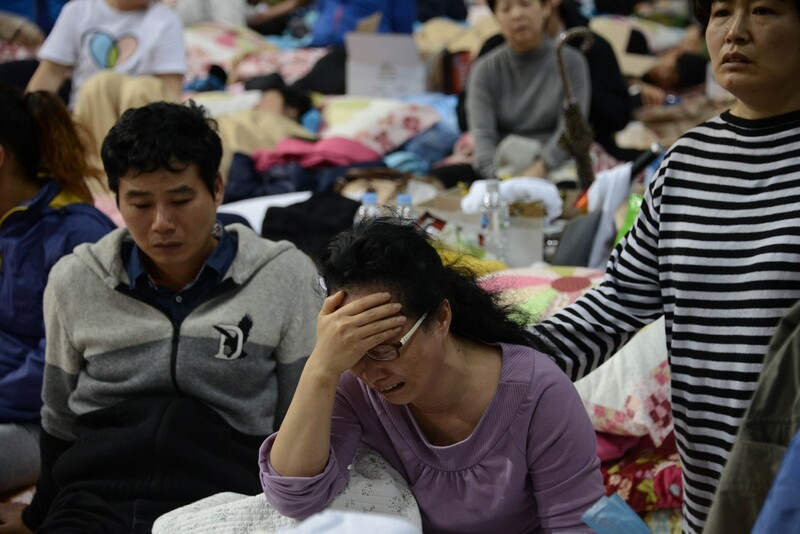 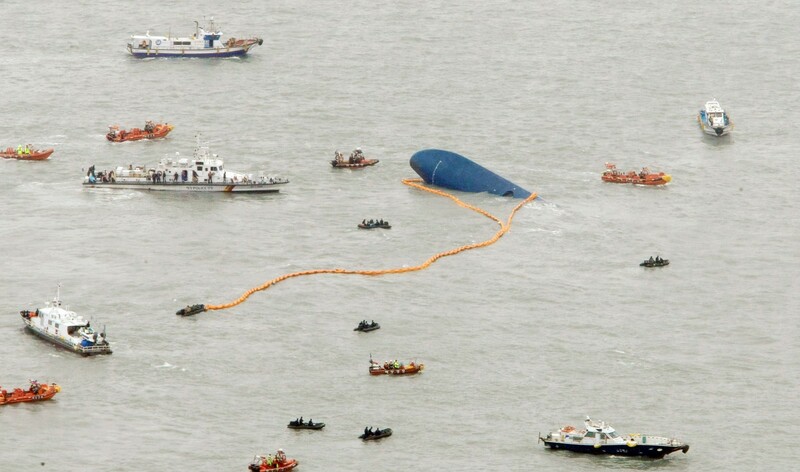 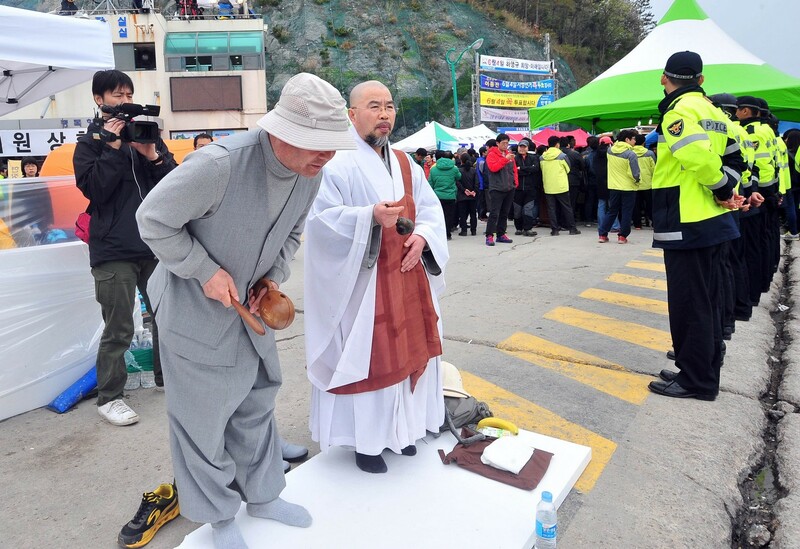 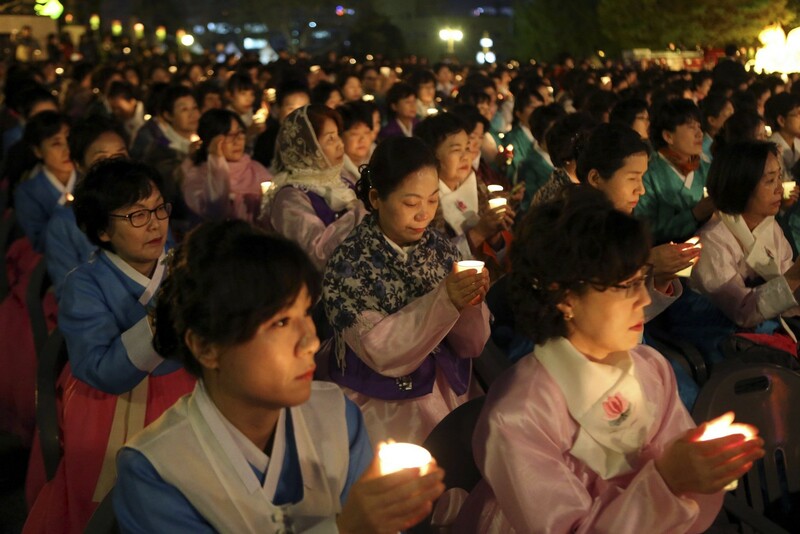 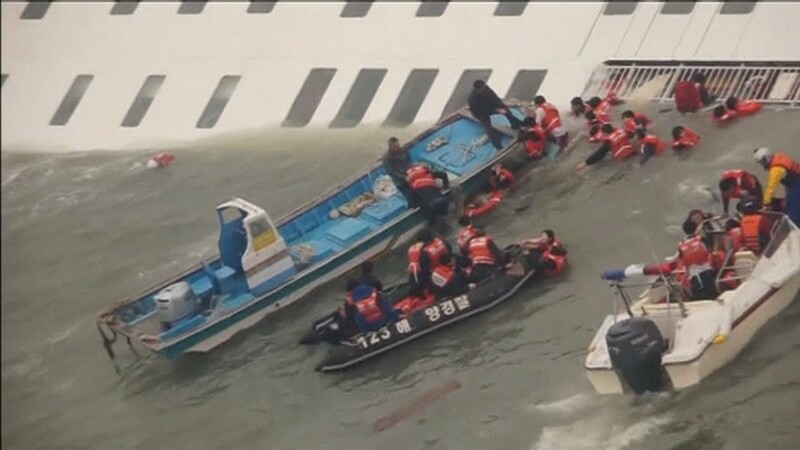 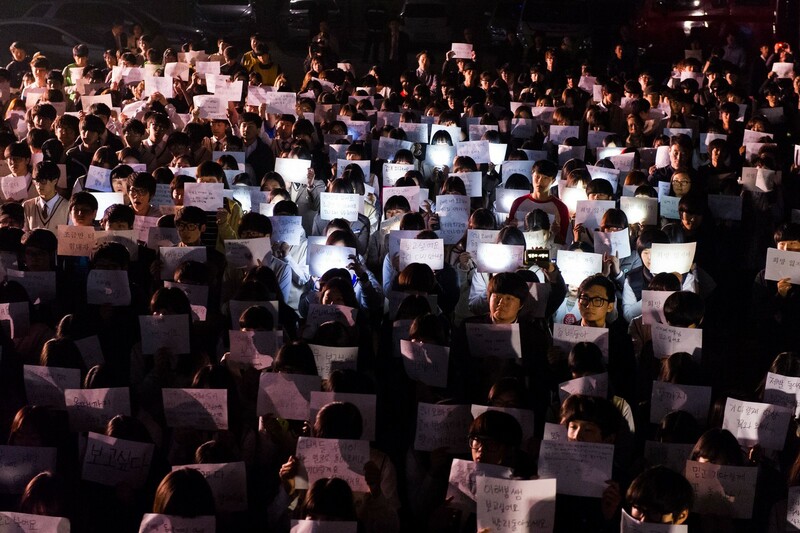 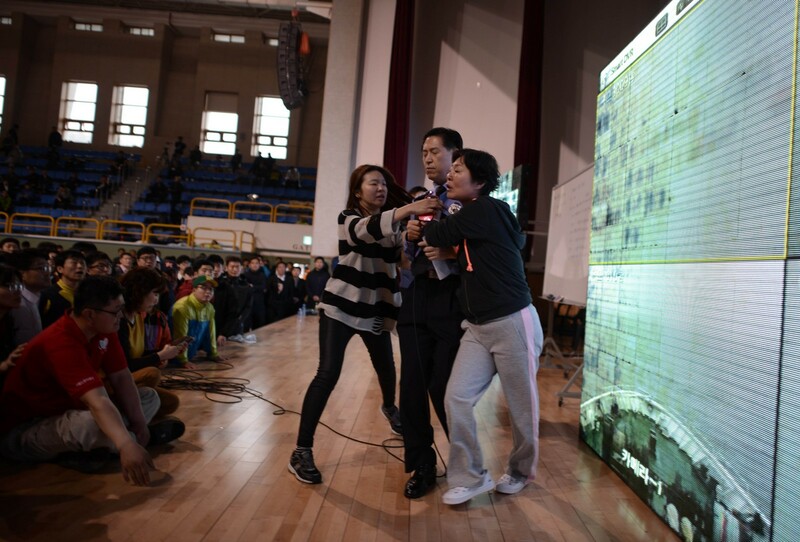 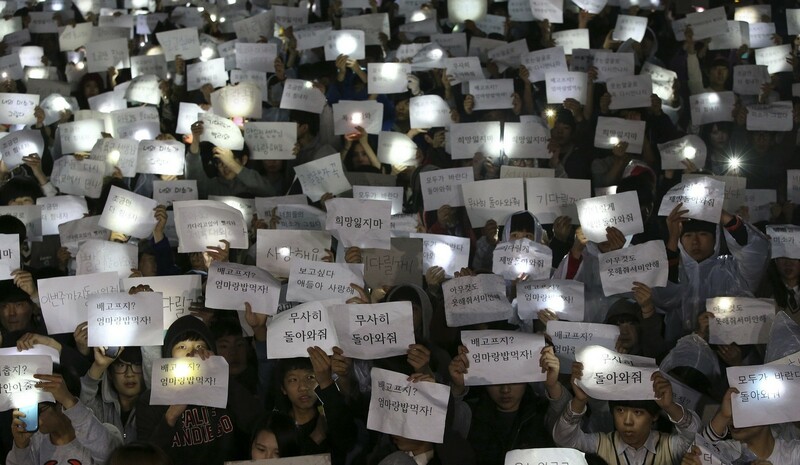 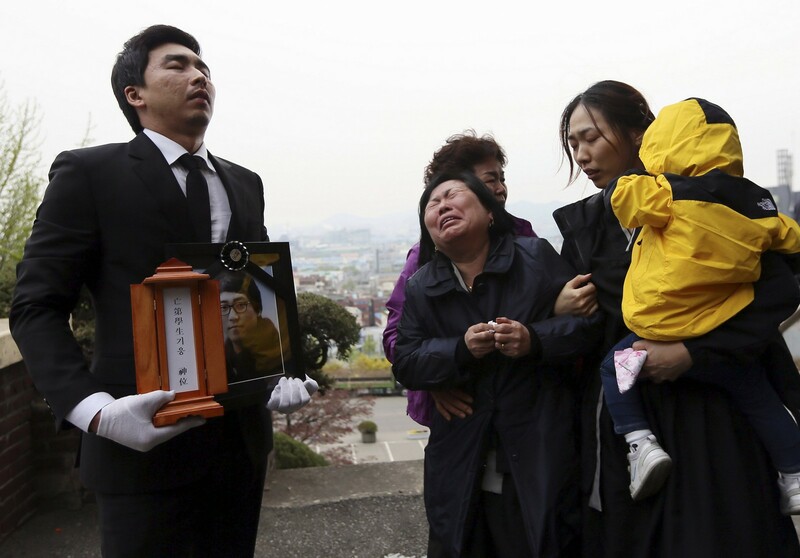 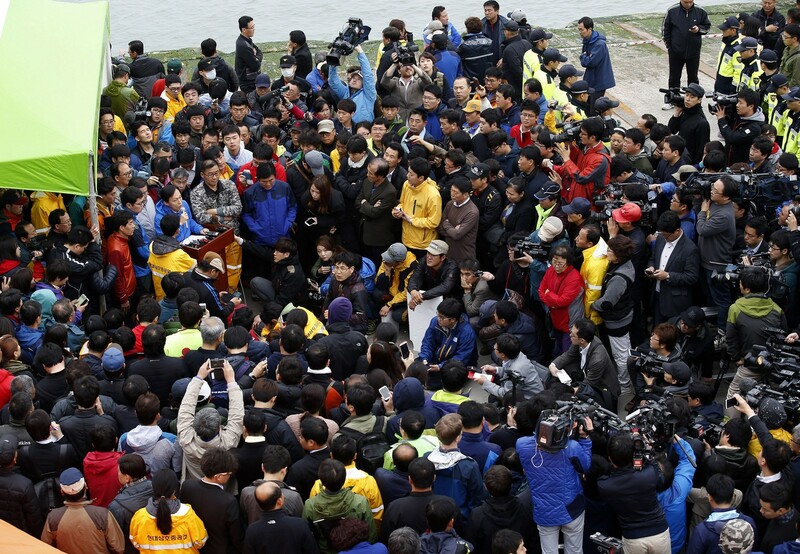 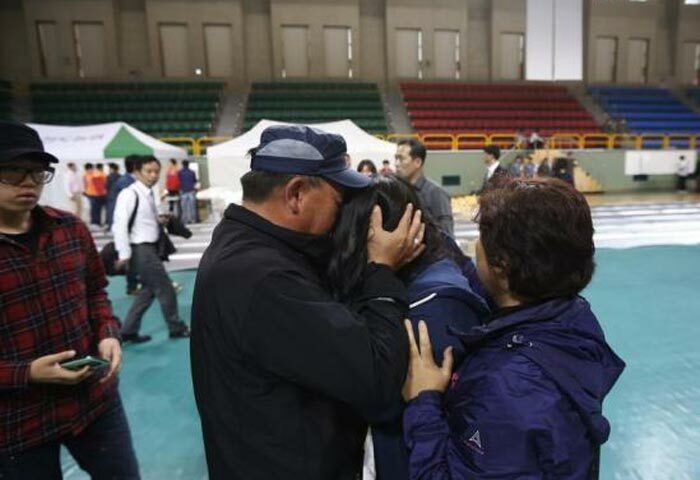 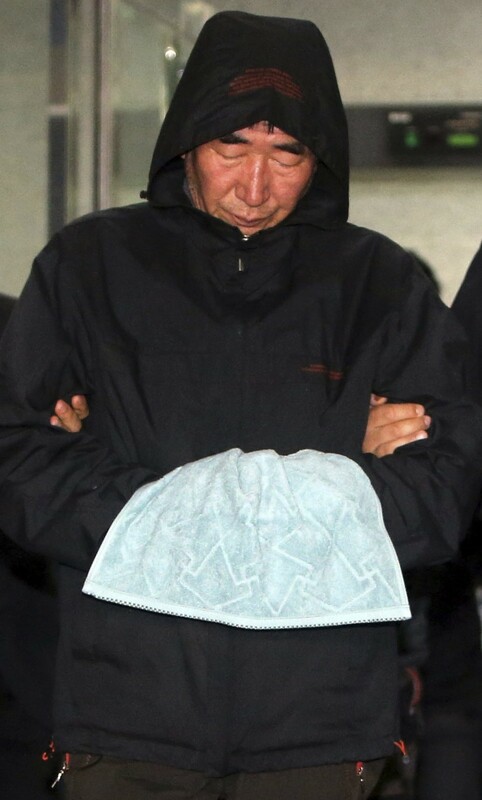 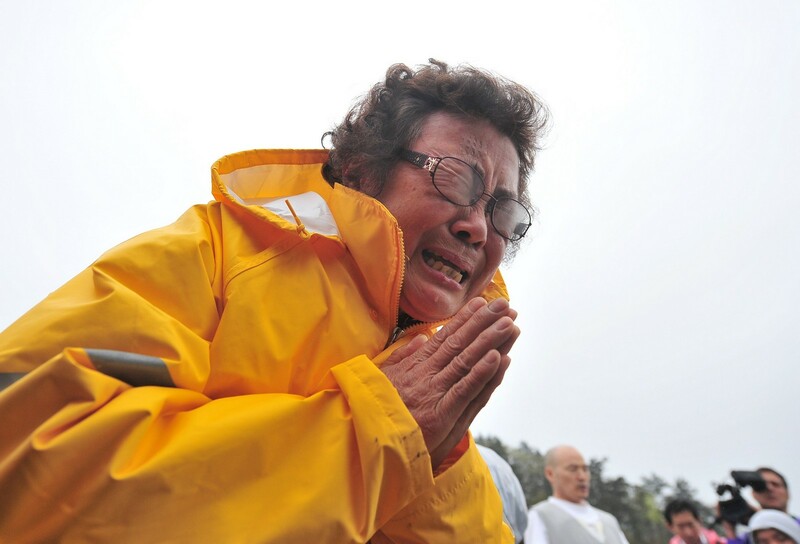 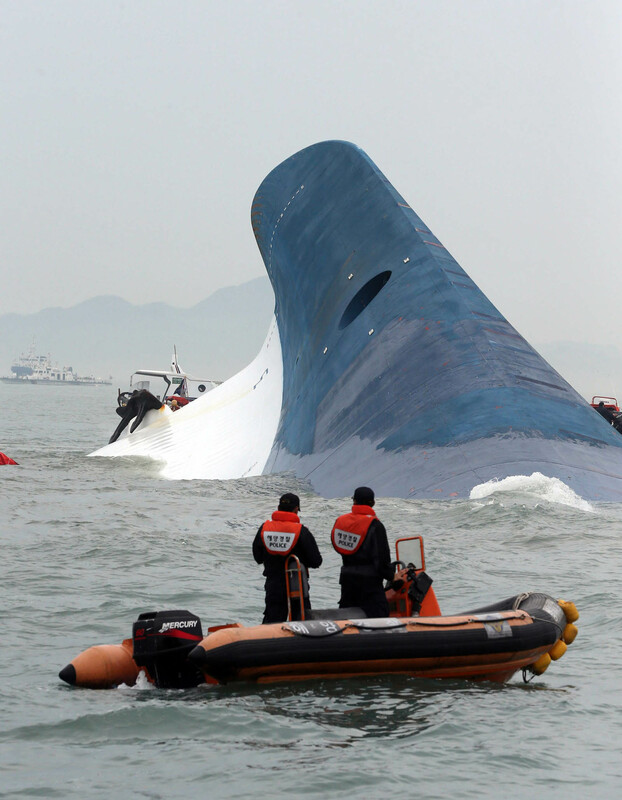 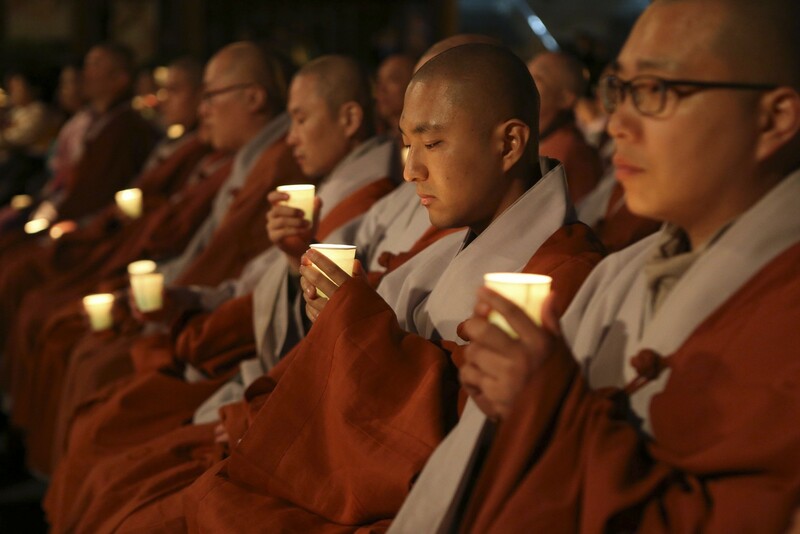 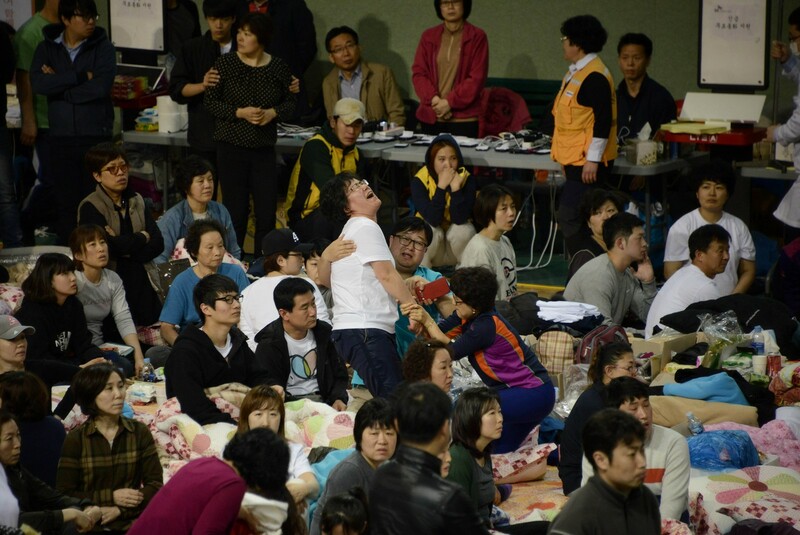 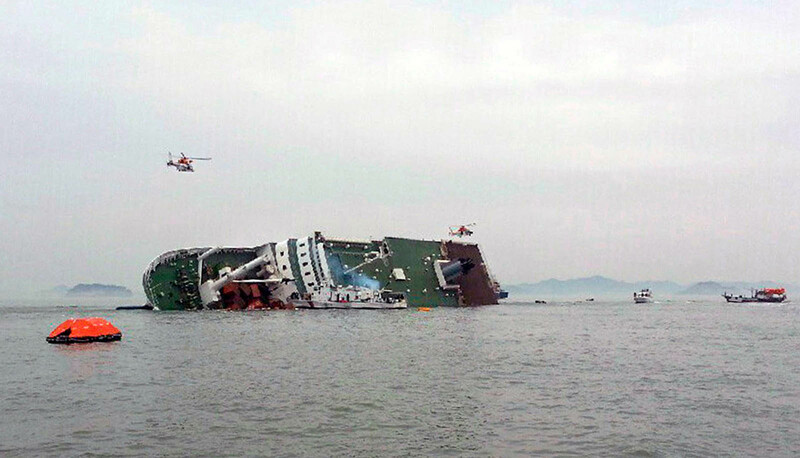 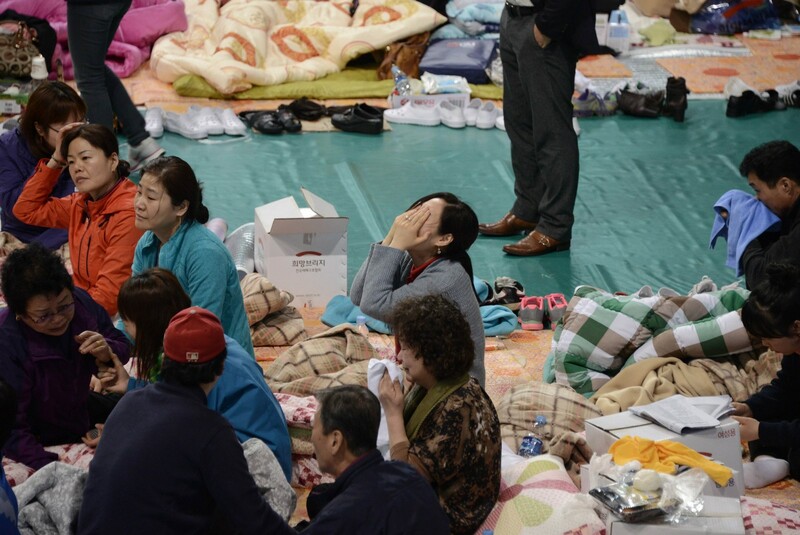 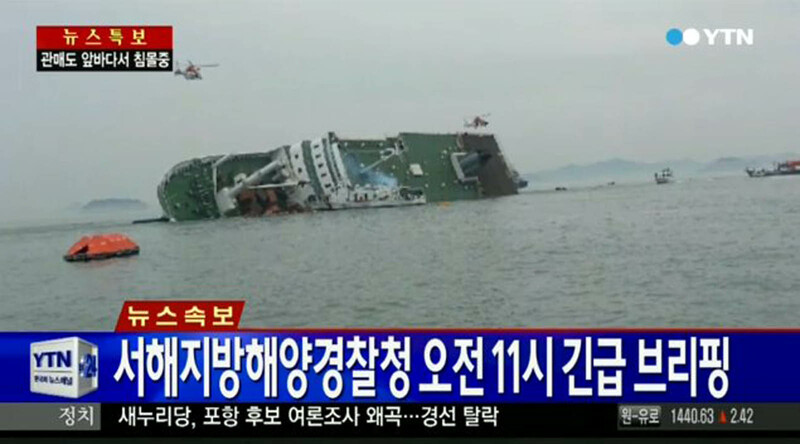 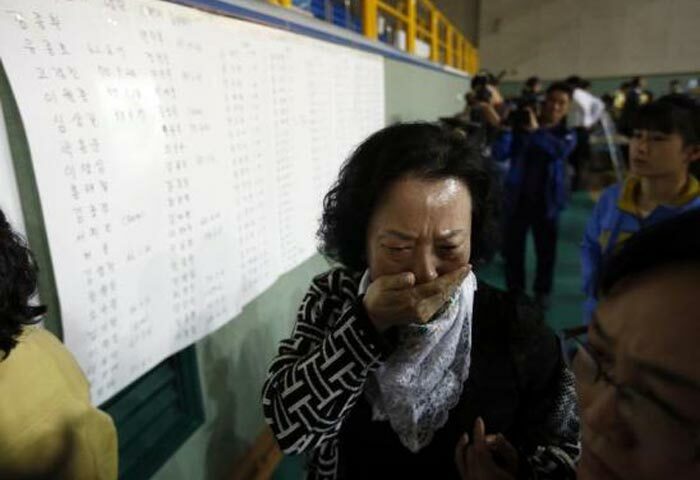 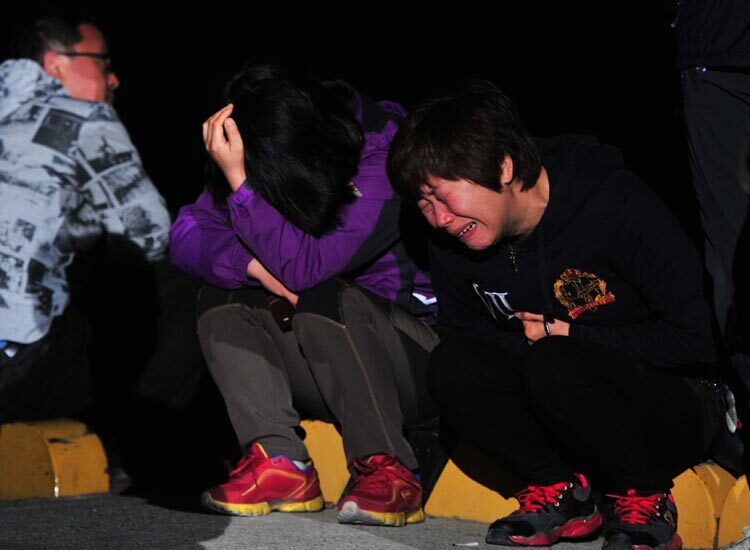 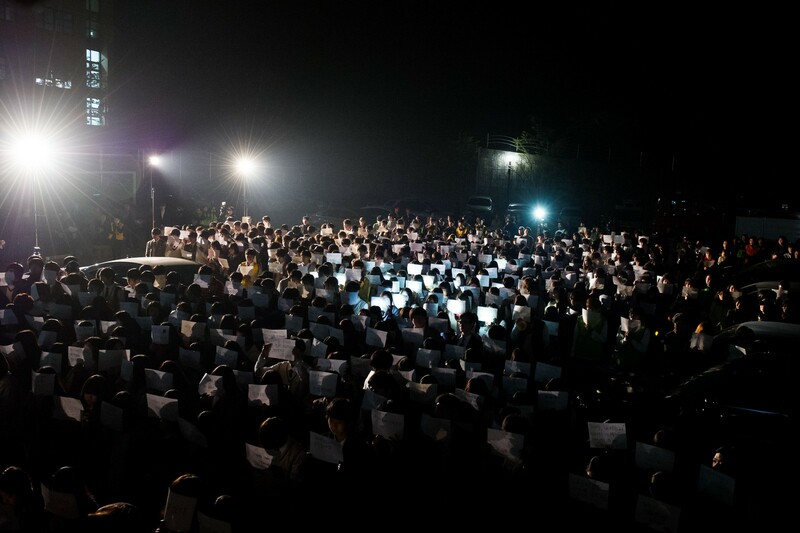 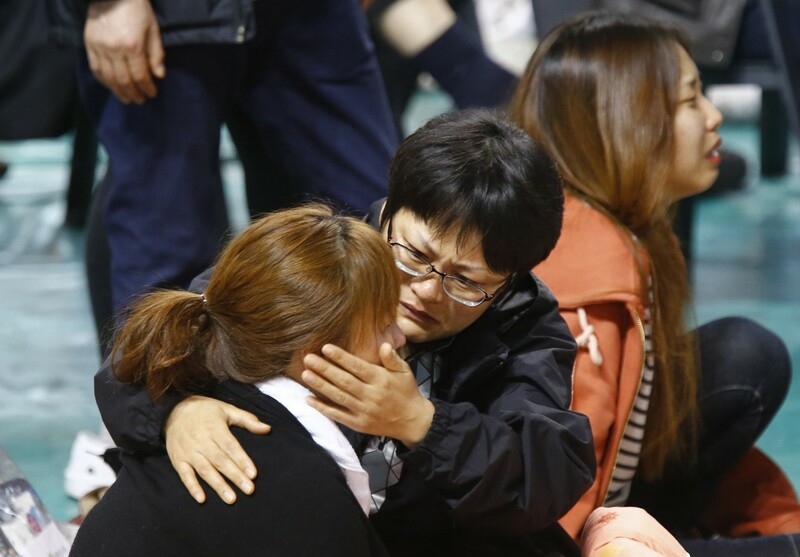 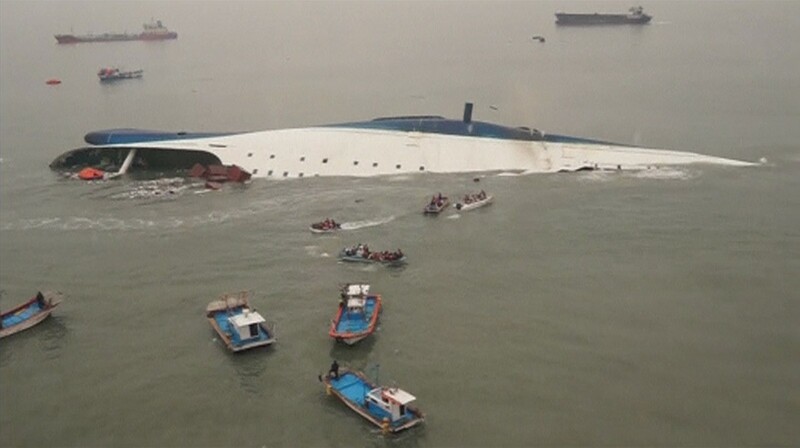 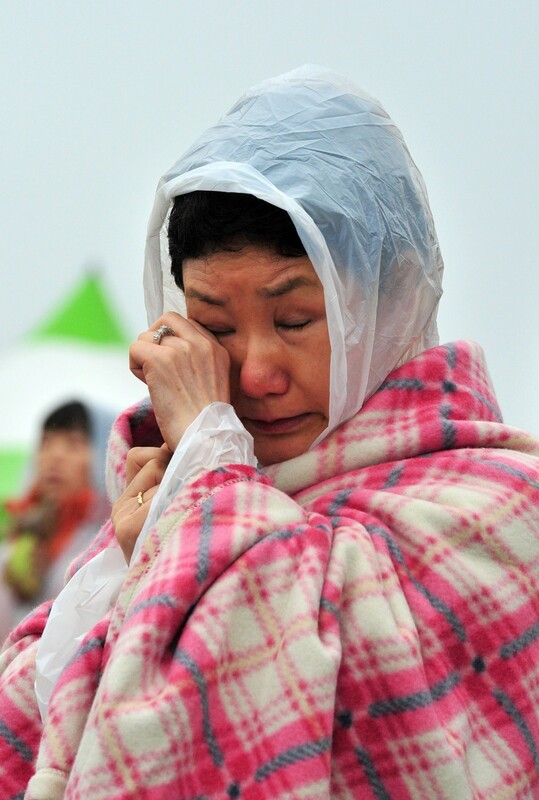 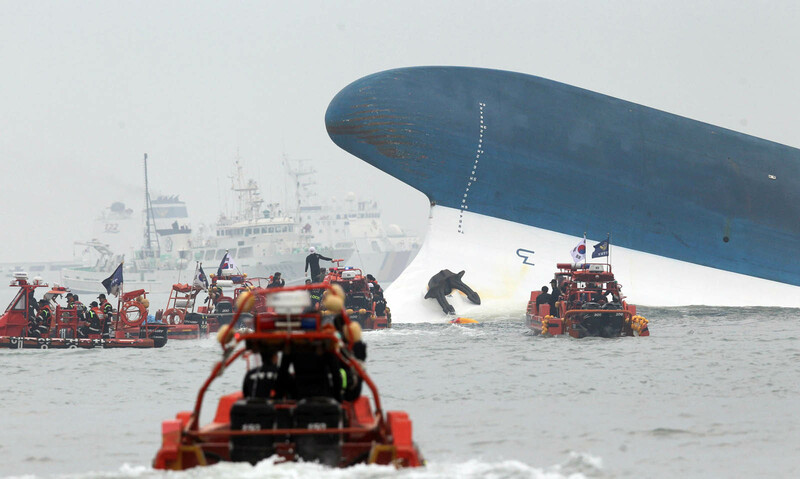 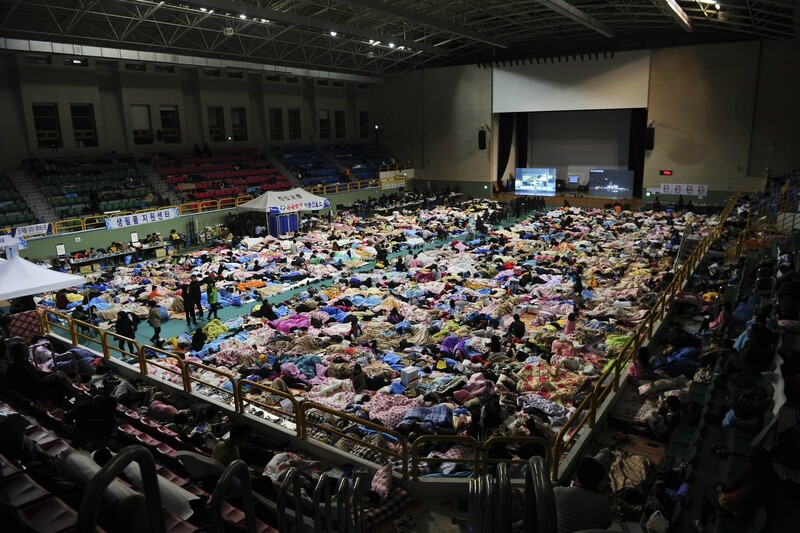 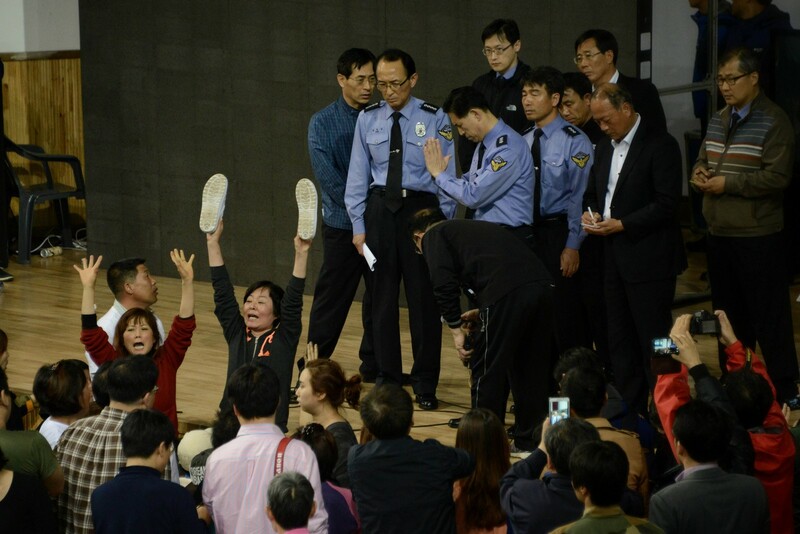 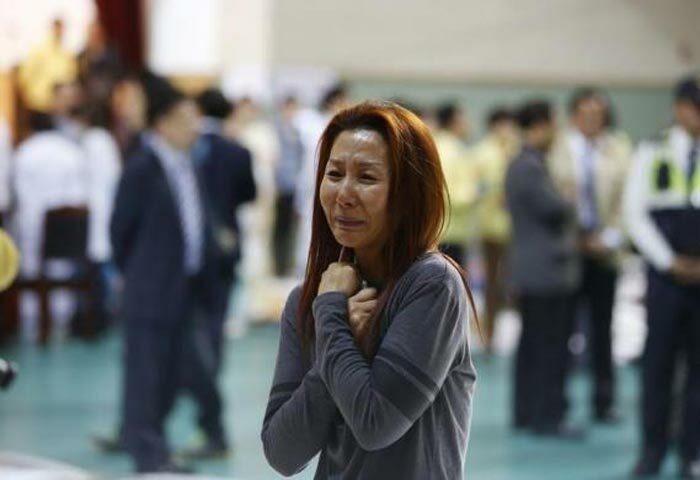 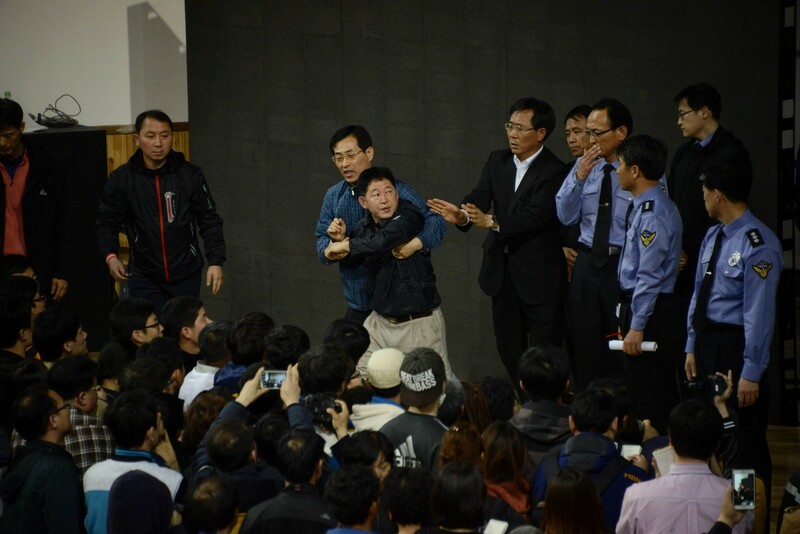 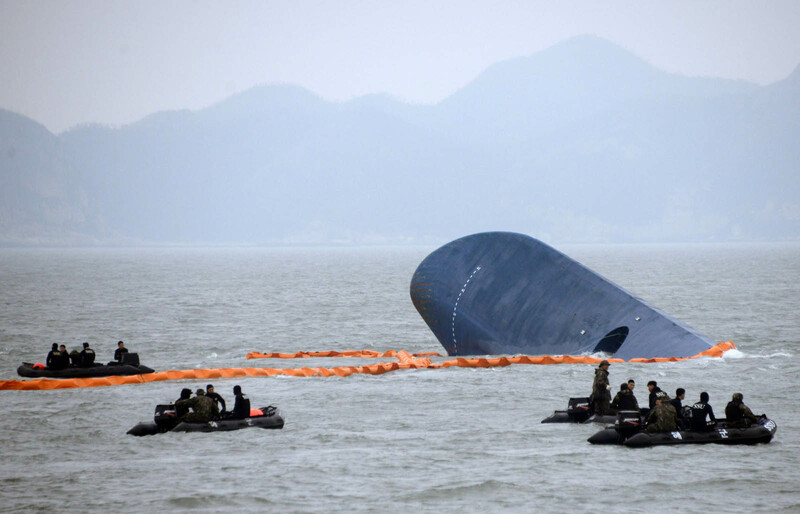 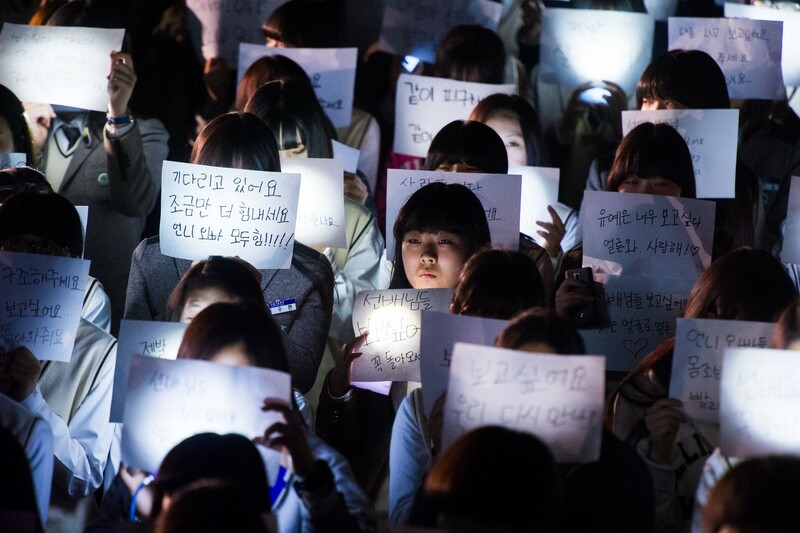 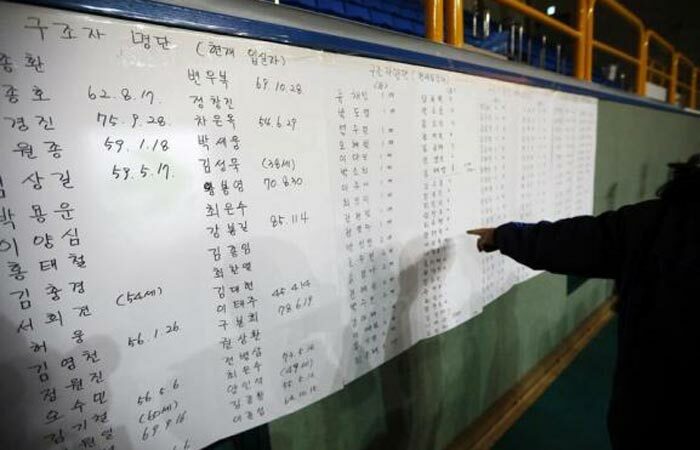 The families of the victims who lost their lives or went missing on the Sewol blasted the government for allegedly inflating the number of rescuers, and begged for more efforts to save the more than 200 people who are still unaccounted for. 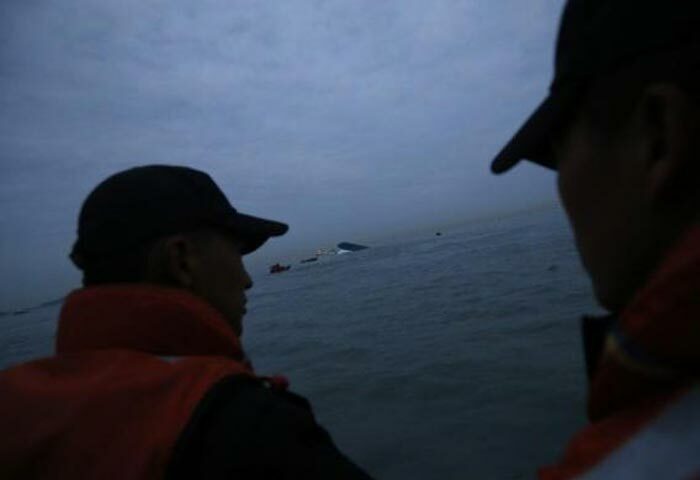 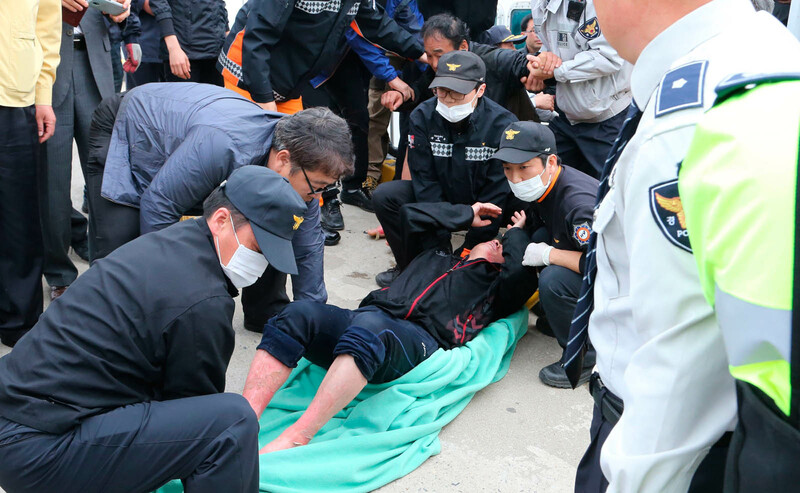 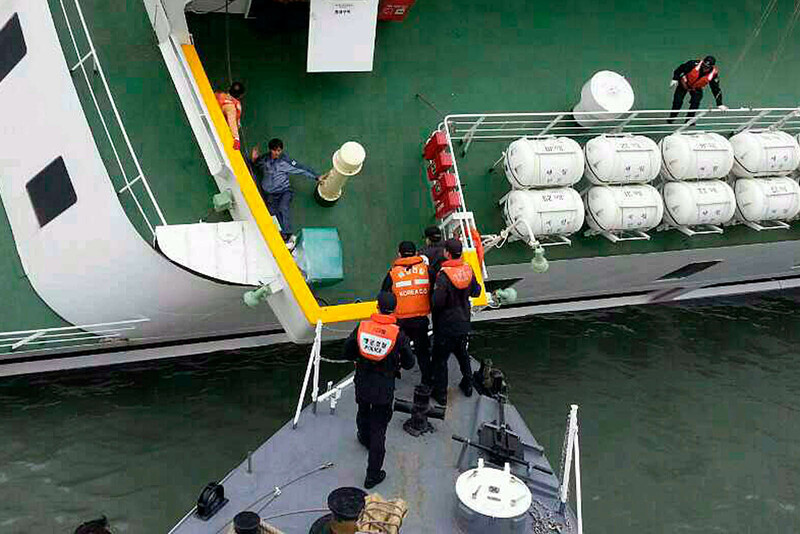 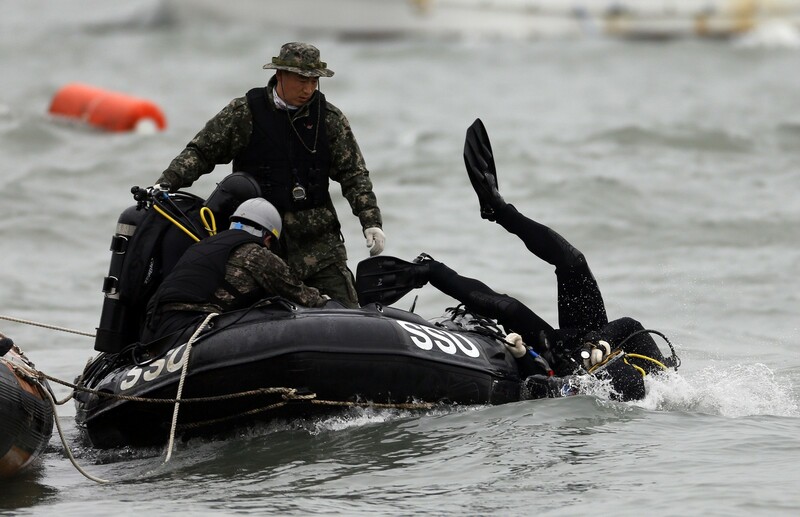 Late Thursday, a group of civilian divers complained to the media that the Coast Guard was not letting them take part in the rescue operation. 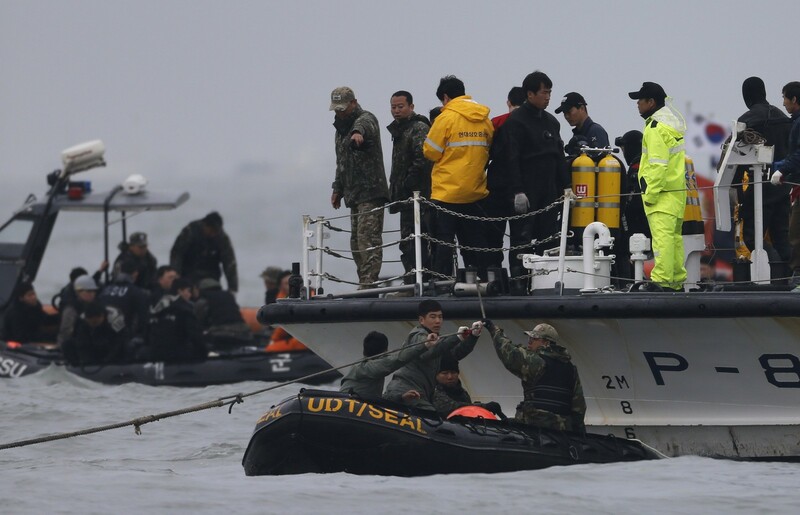 The main concern of the officials, appears to have been safety of the divers. 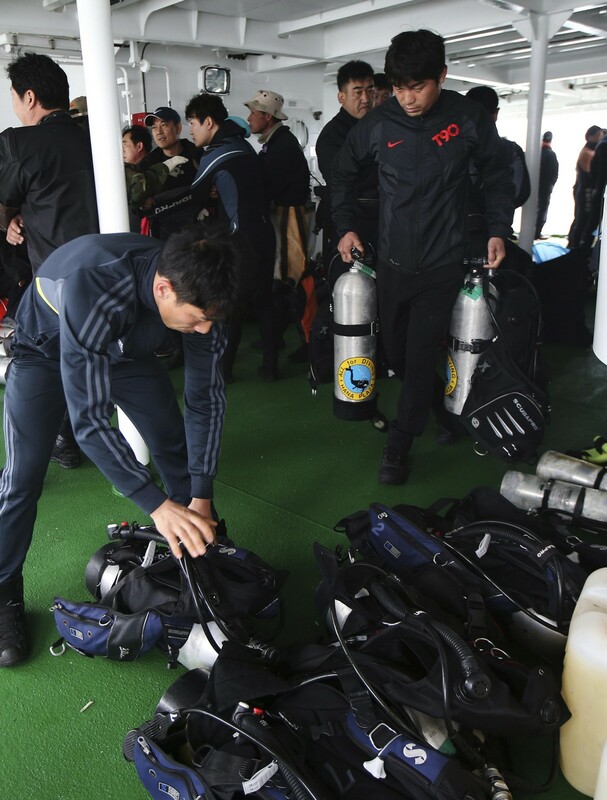 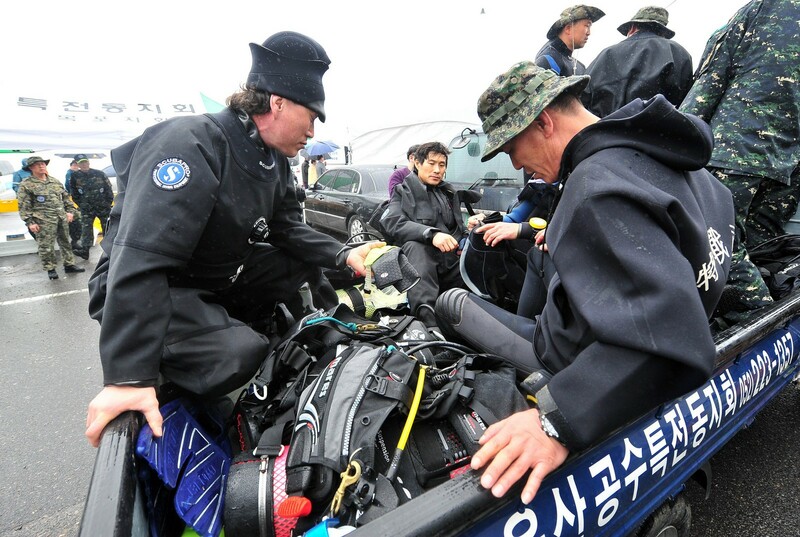 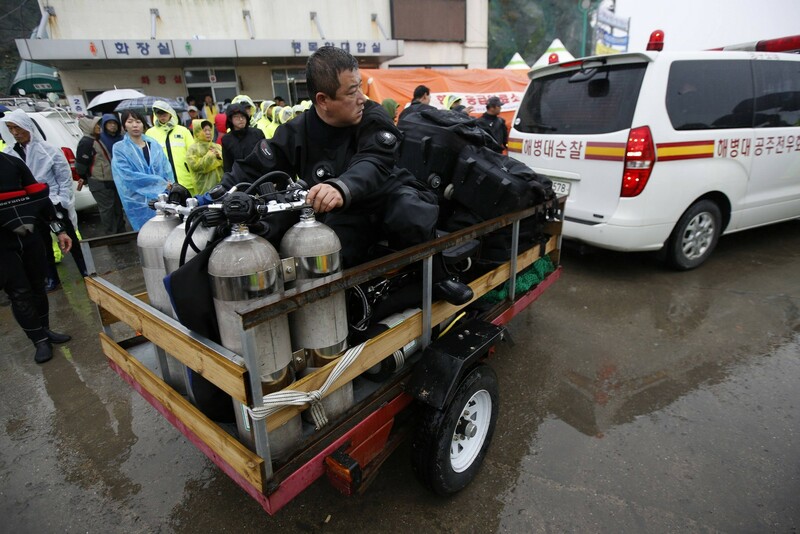 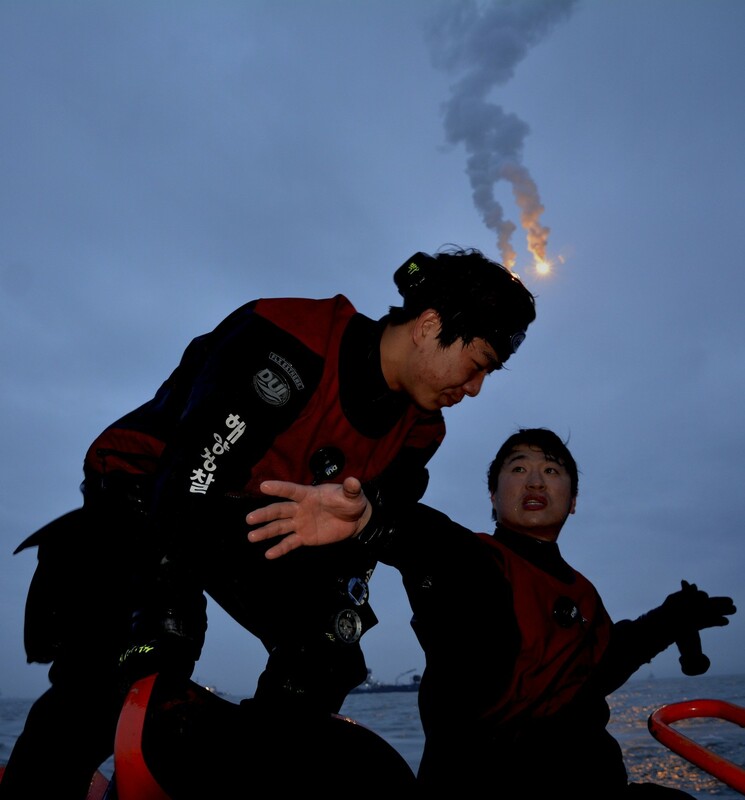 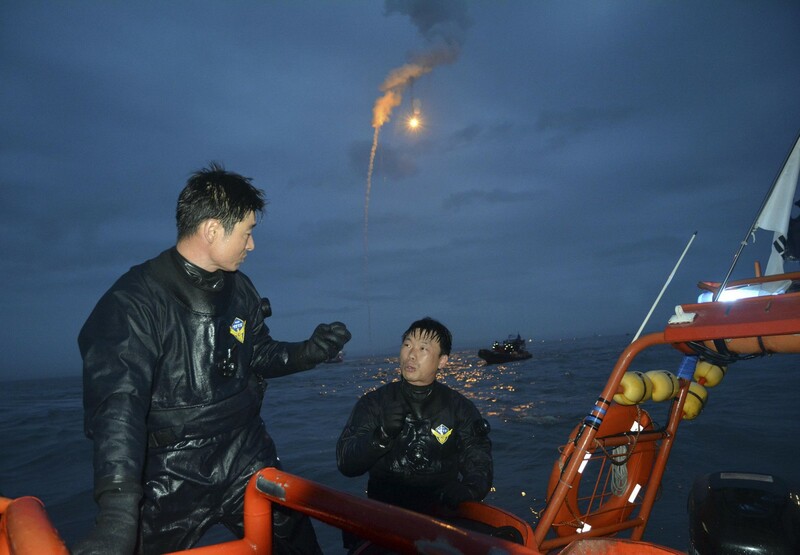 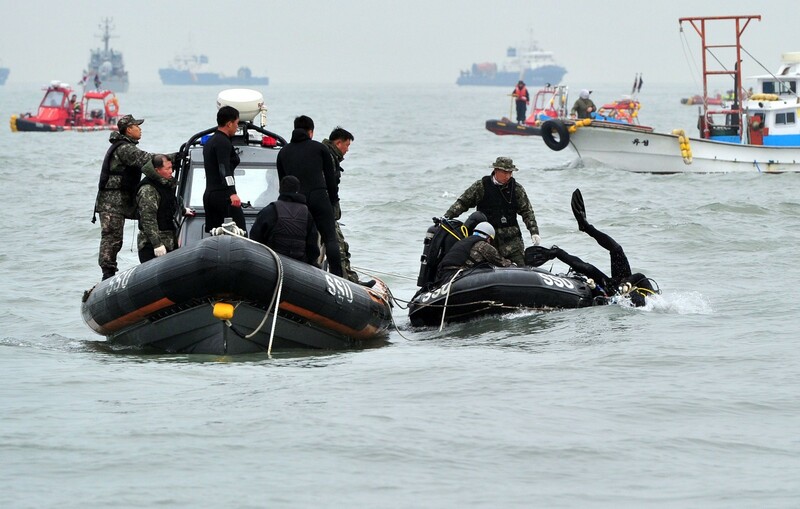 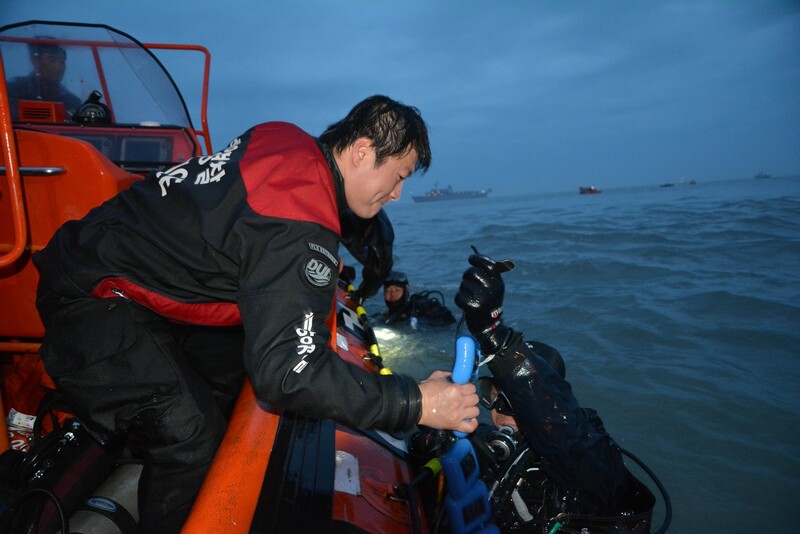 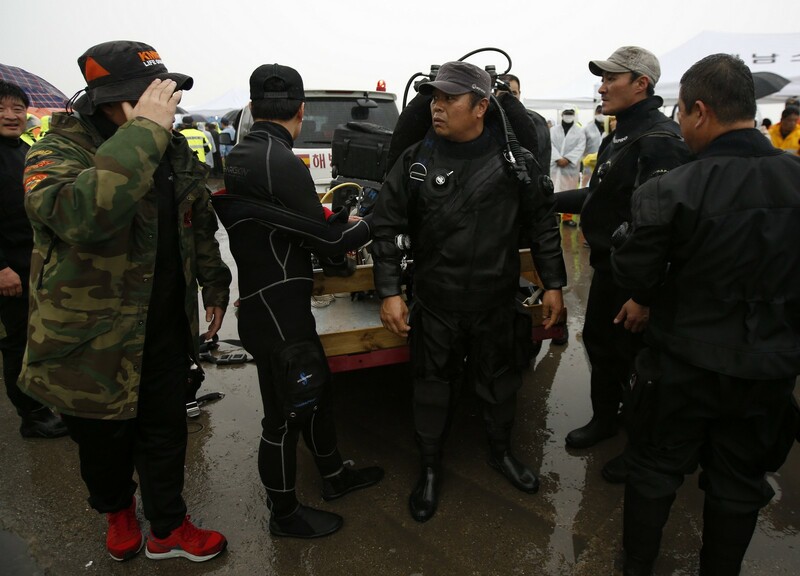 Bad weather and a minor incident earlier in the day when three civilian divers nearly went missing in the water may have reinforced their concerns. 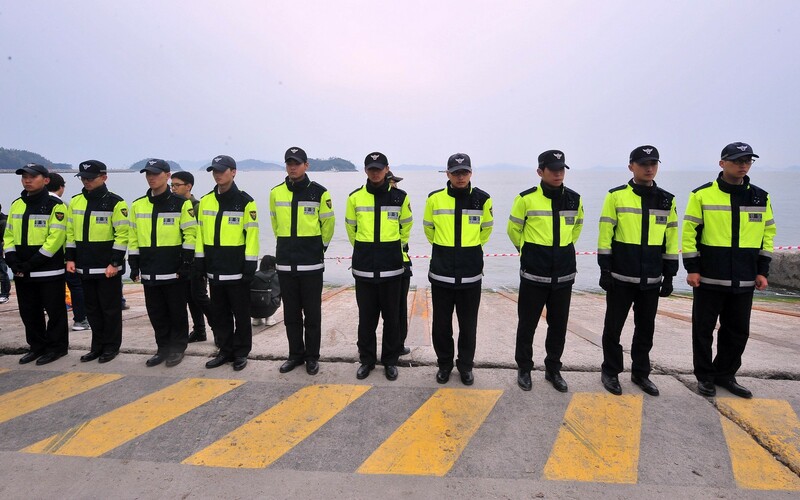 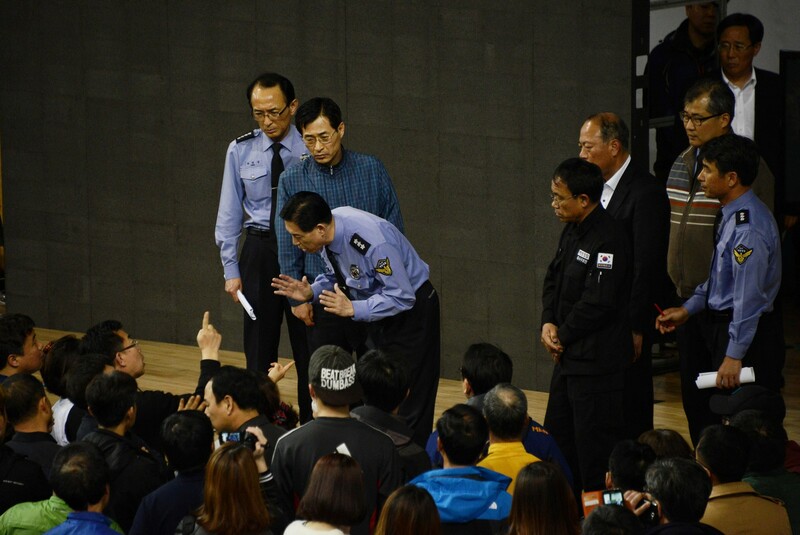 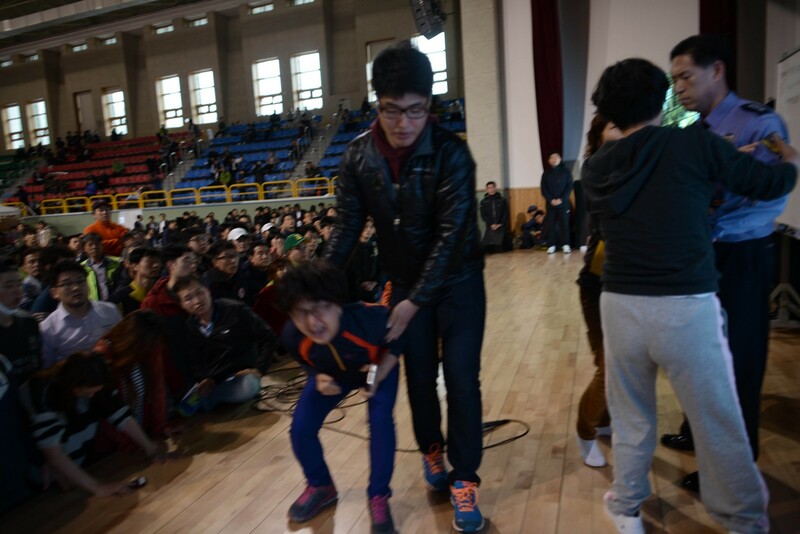 The distrust toward the state officials’ ability to cope with the disaster, however, has been growing since the day of the incident. 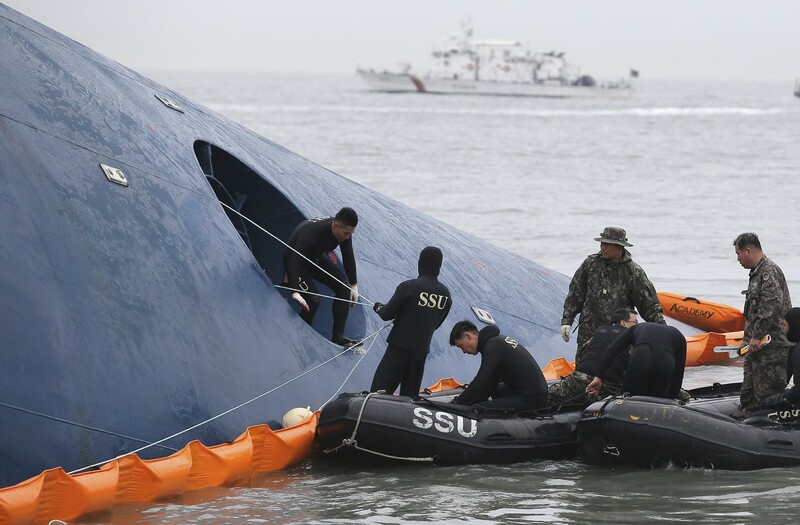 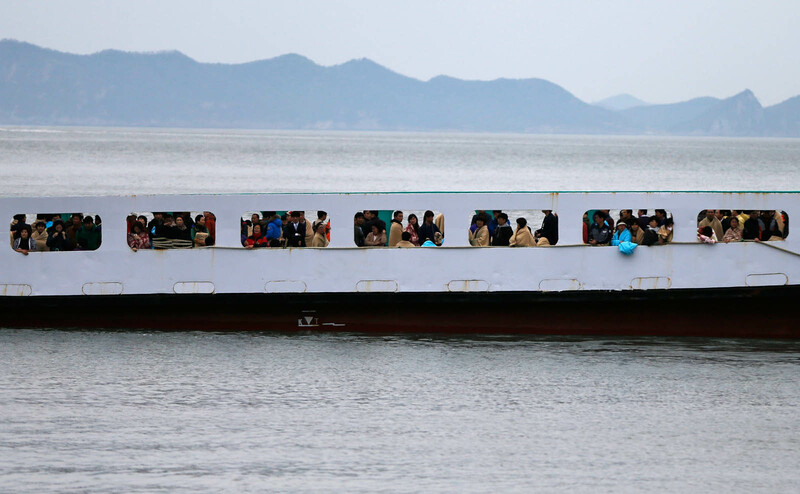 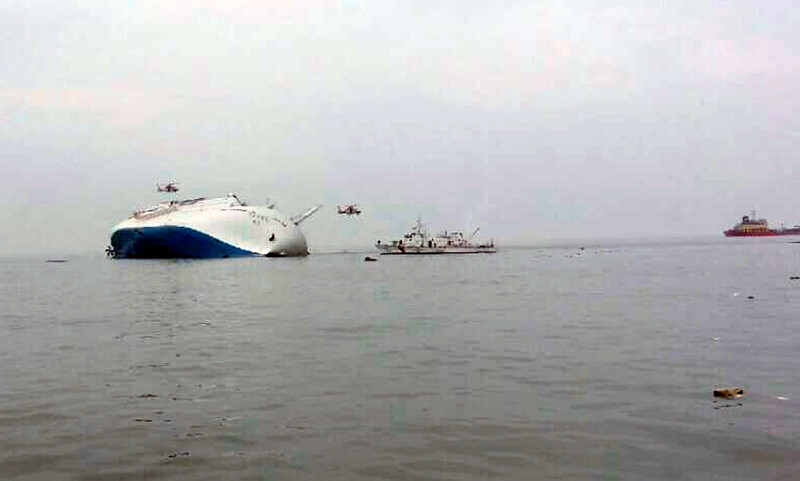 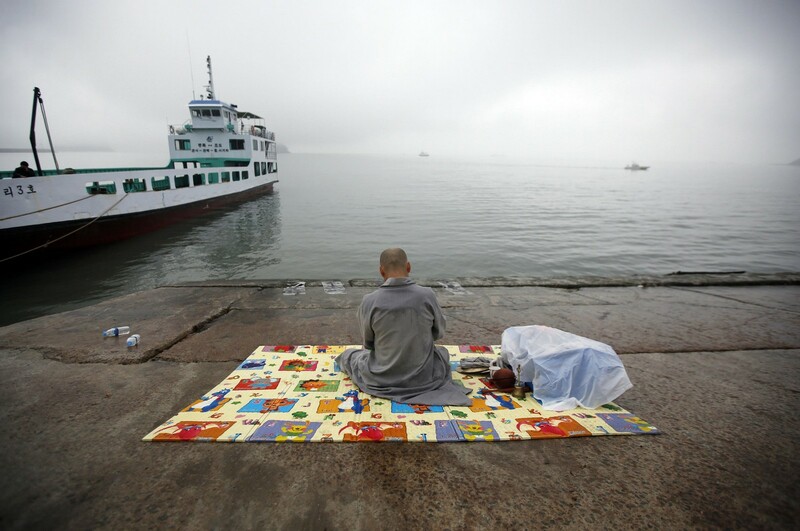 Even as the ferry started to capsize early Wednesday, government officials failed to realize the severity of the situation. 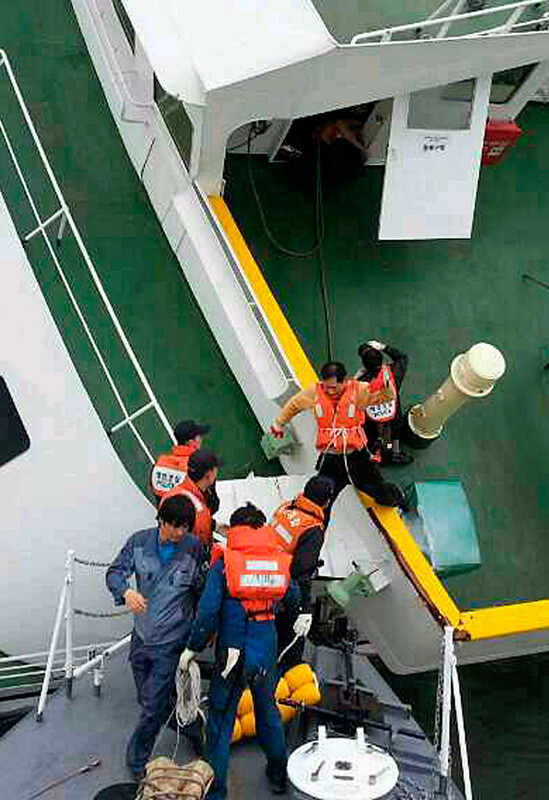 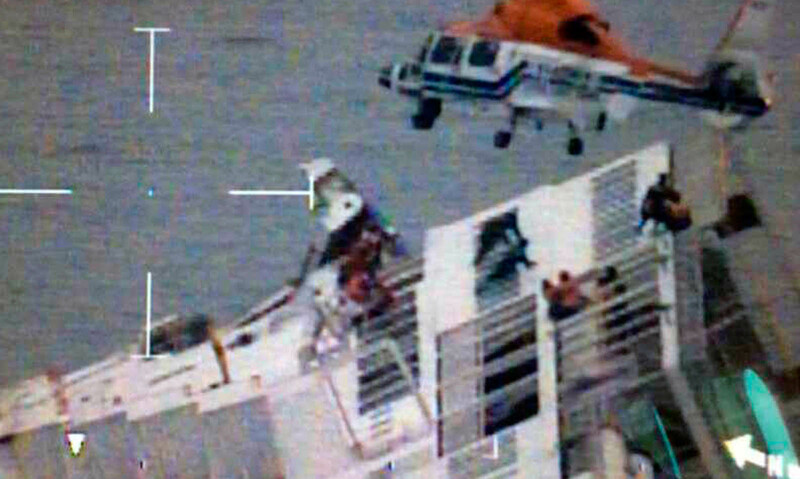 A false report that most of the passengers have been rescued led to the false belief that it was a minor incident. 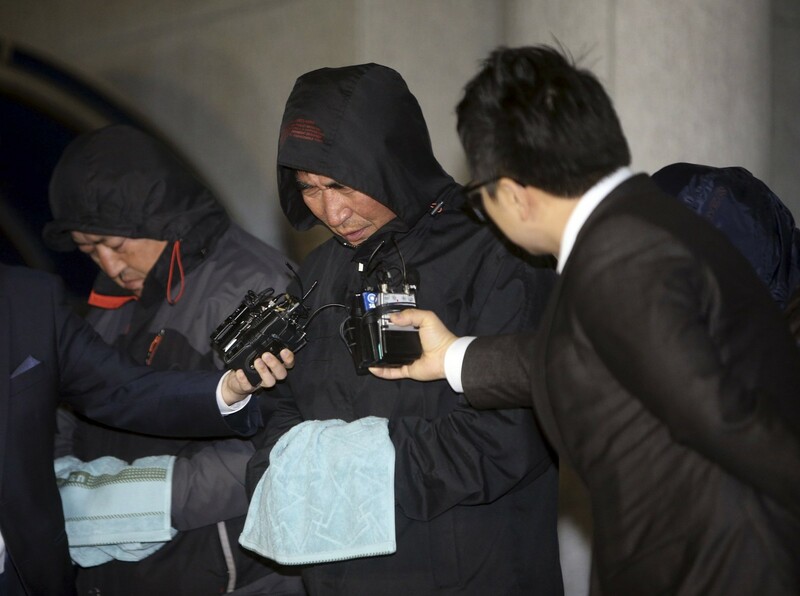 An official from the presidential office Cheong Wa Dae said the reports President Park Geun-hye received were not much more detailed than the information that was going around via media. 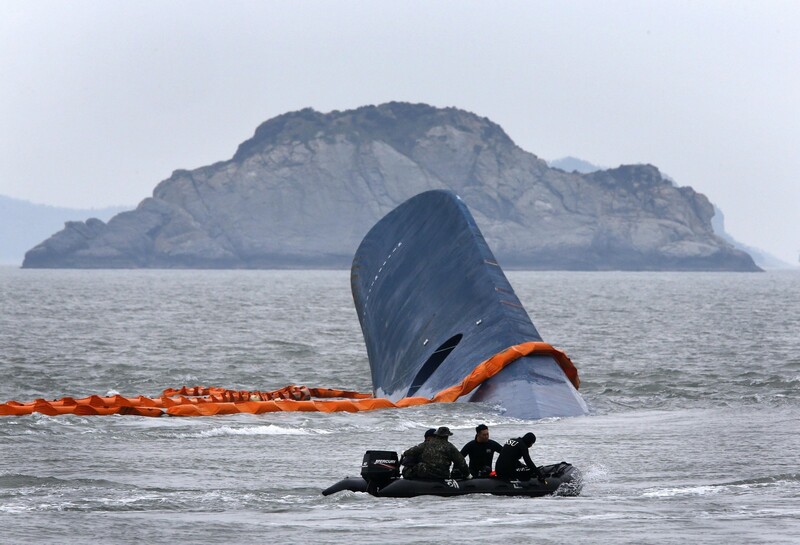 The failure to acquire precise information led to a belated response. 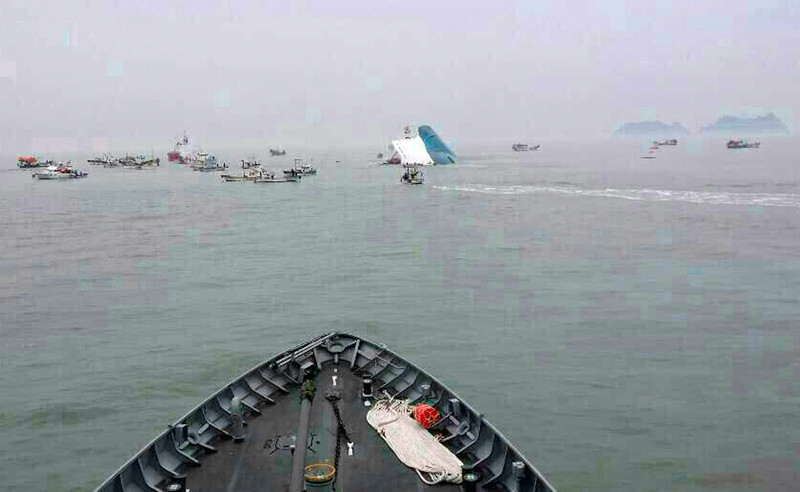 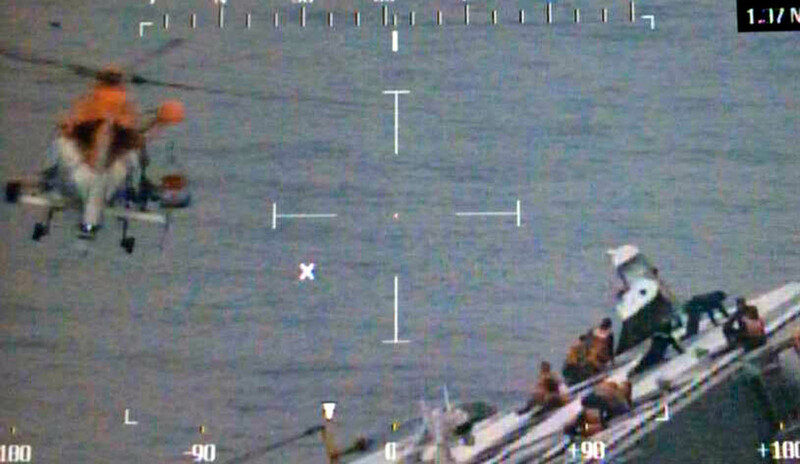 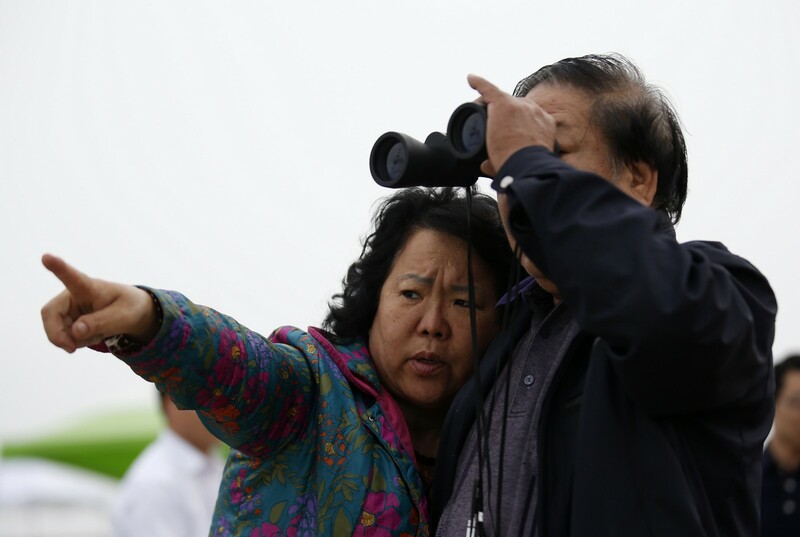 The government doubled the number of helicopters and ships around 3 p.m., more than four hours after the vessel had gone underwater. 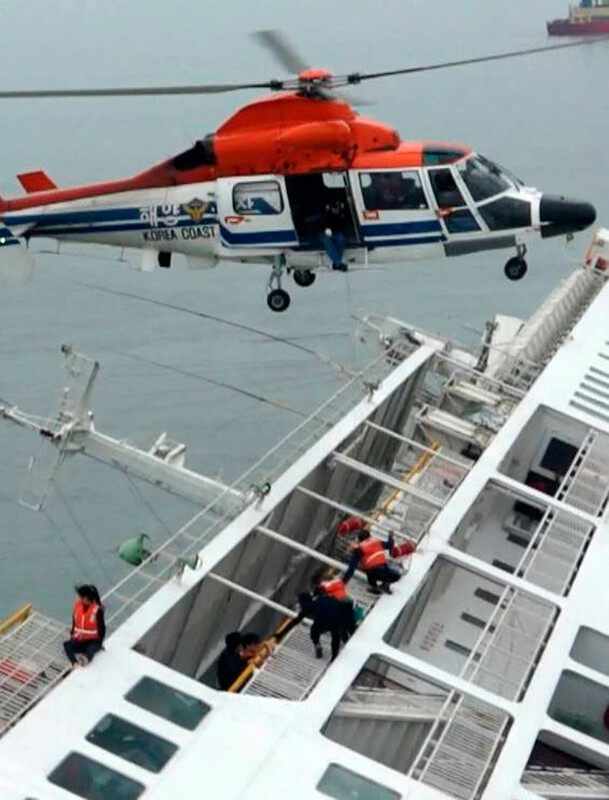 Experts say that the first 30 minutes to one hour after a massive-scale accident are critical in a rescue operation. 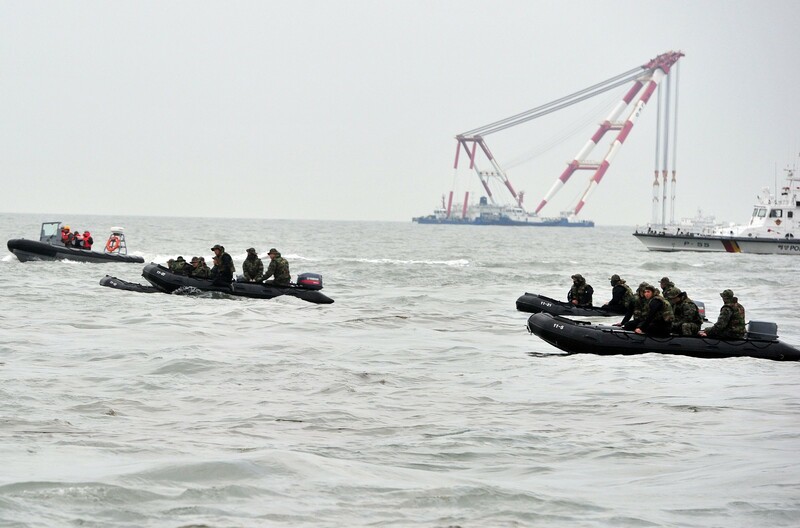 Although the president ordered a coordinated effort from all ministries, a concrete chain of command was missing in the initial stages of the search operation. 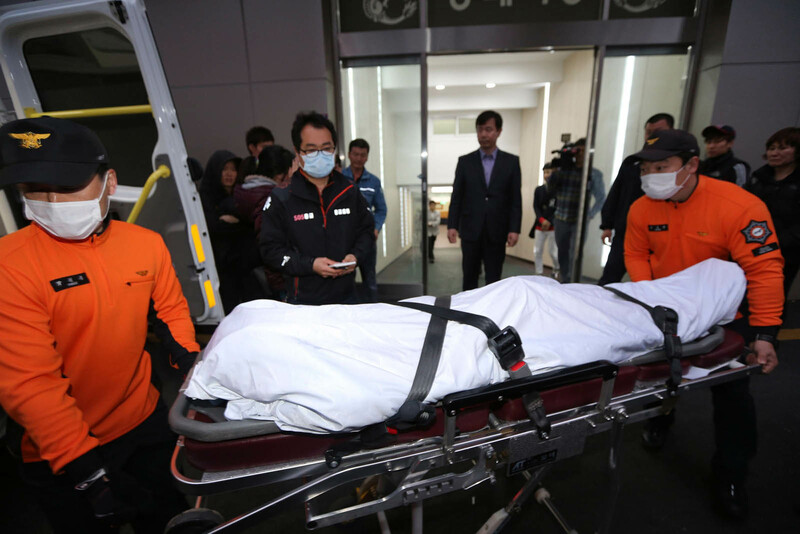 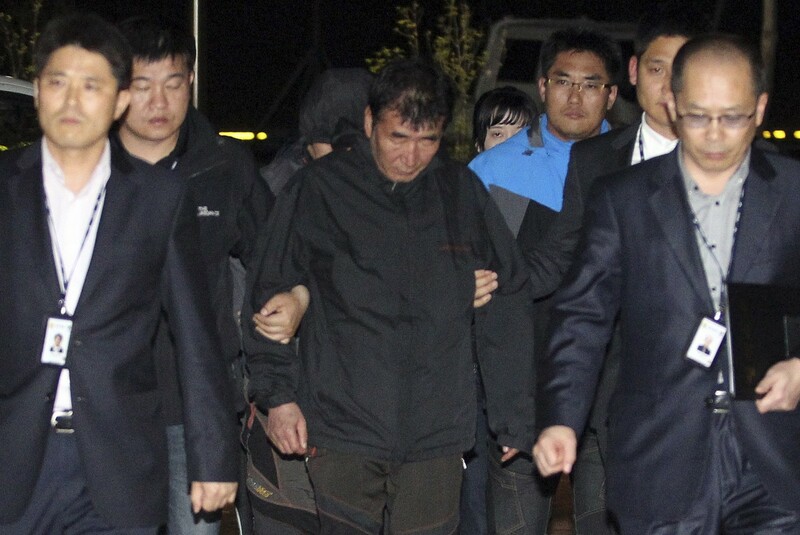 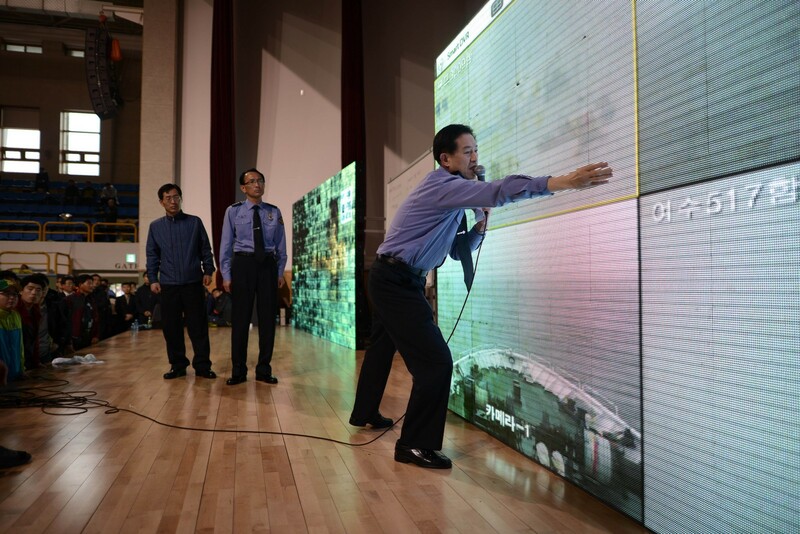 A pan-government response center, led by Prime Minister Chung Hong-won, was established more than a day after the accident had occurred. 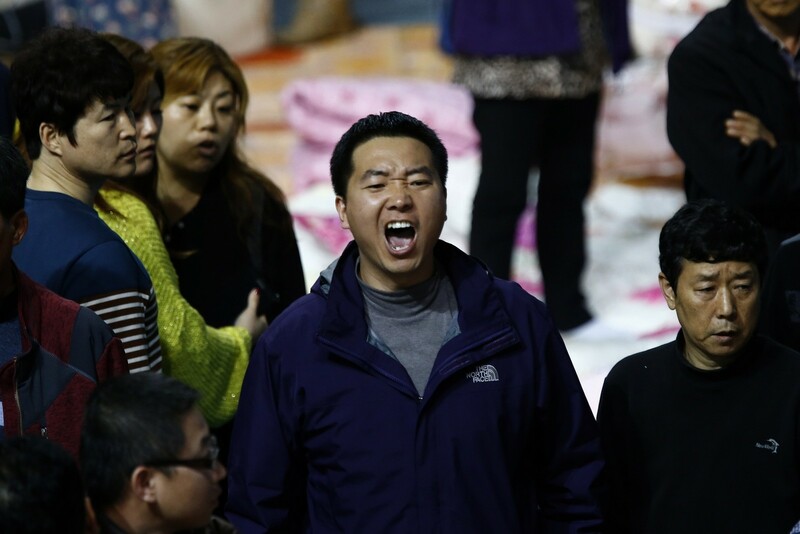 Adding to the confusion were te contradicting reports from different state-run bodies. 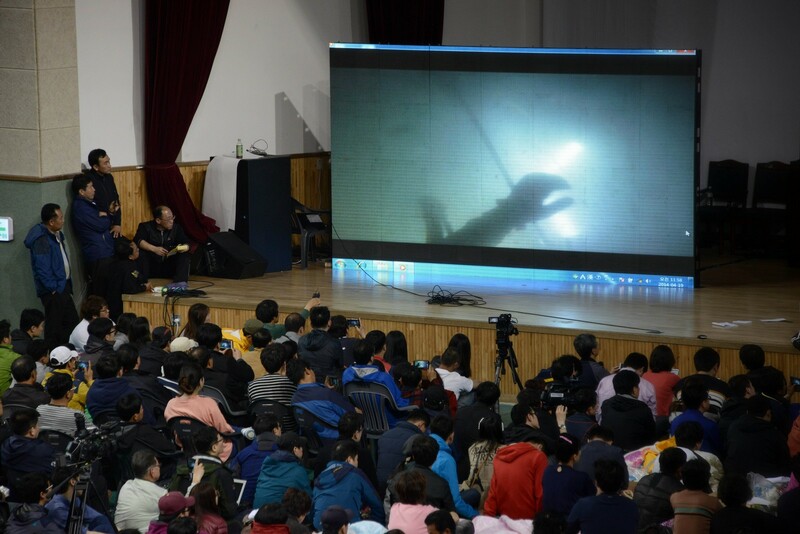 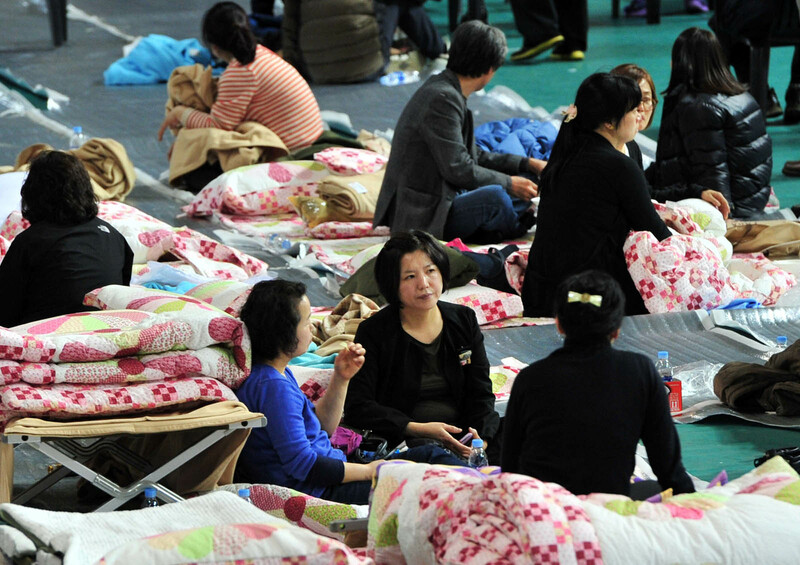 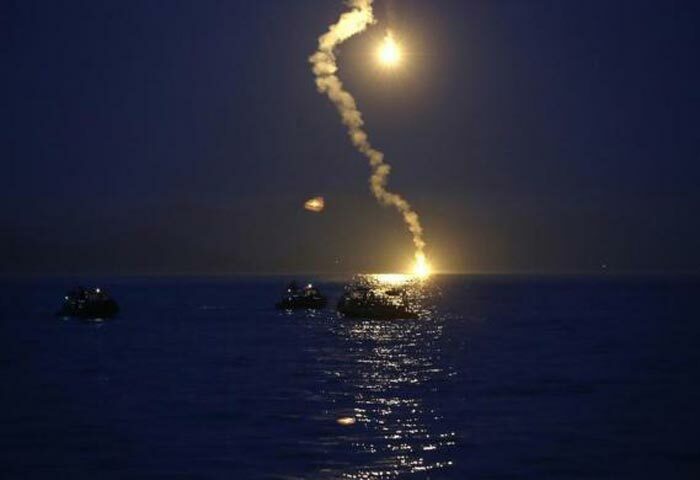 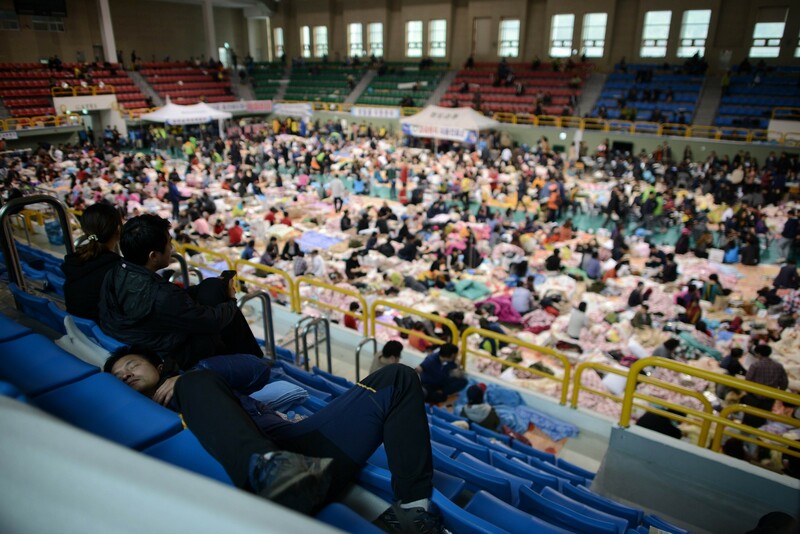 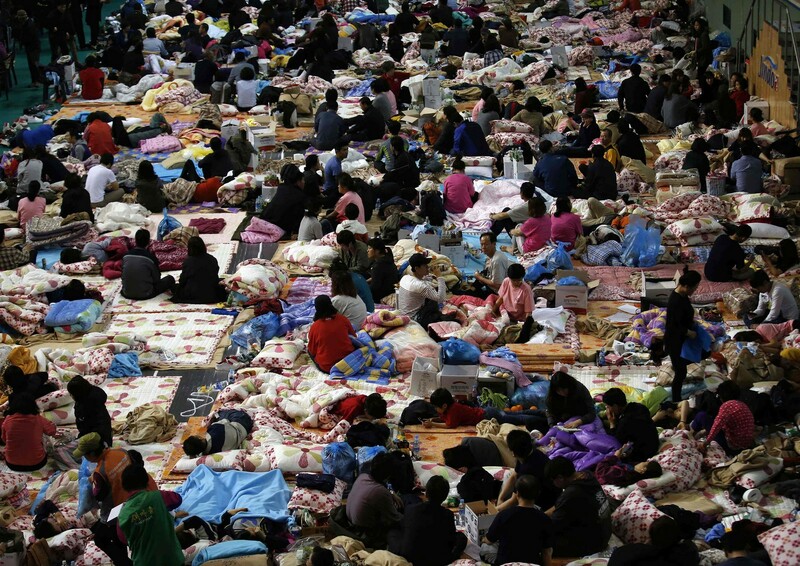 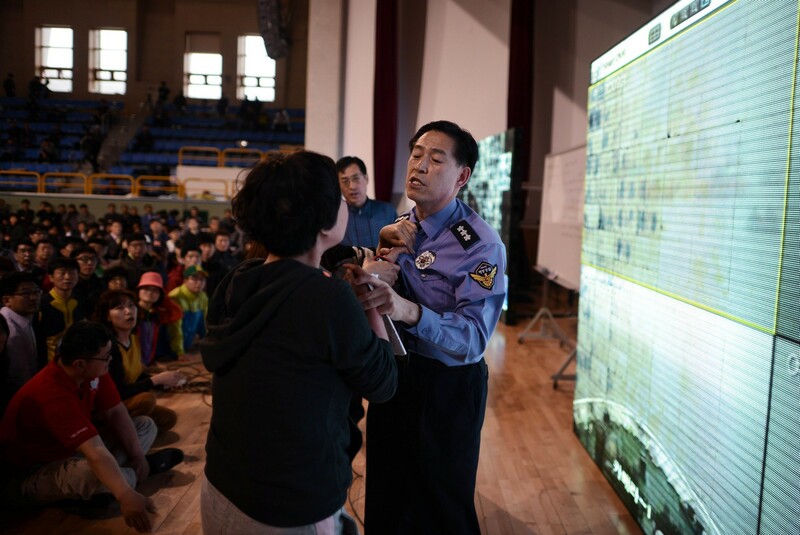 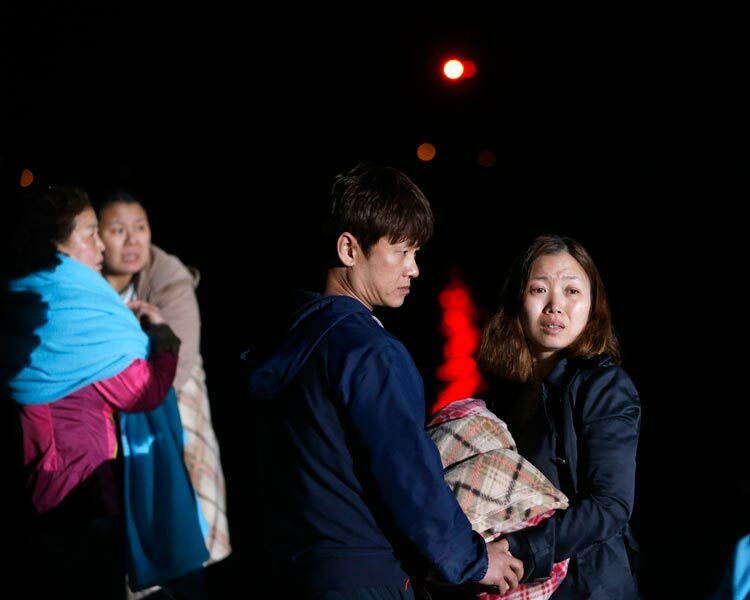 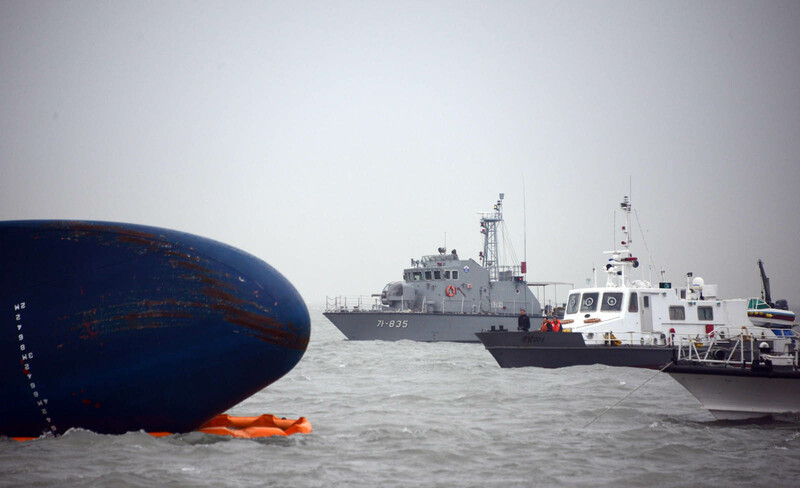 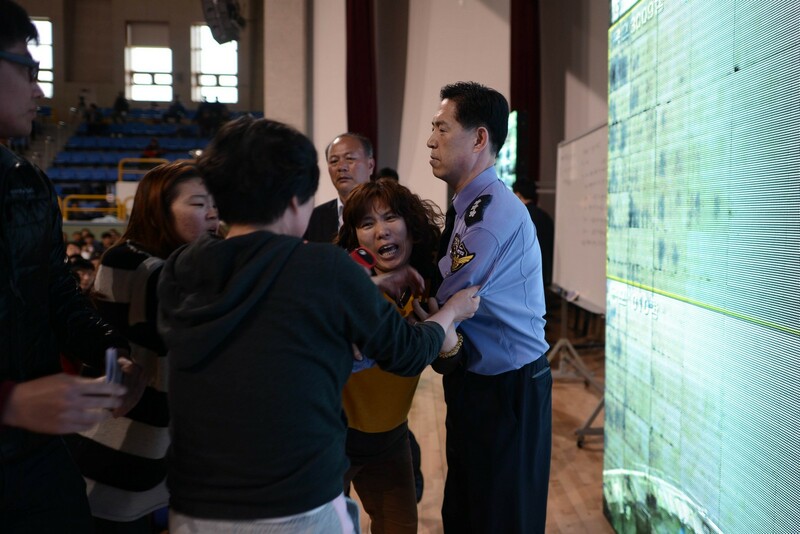 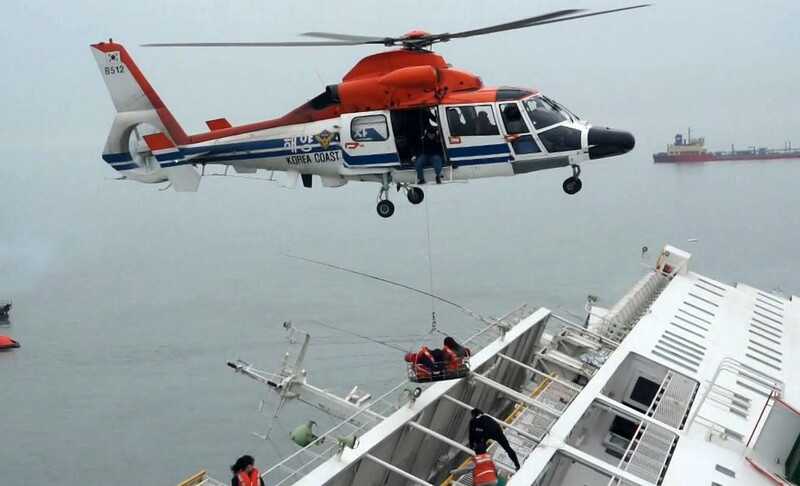 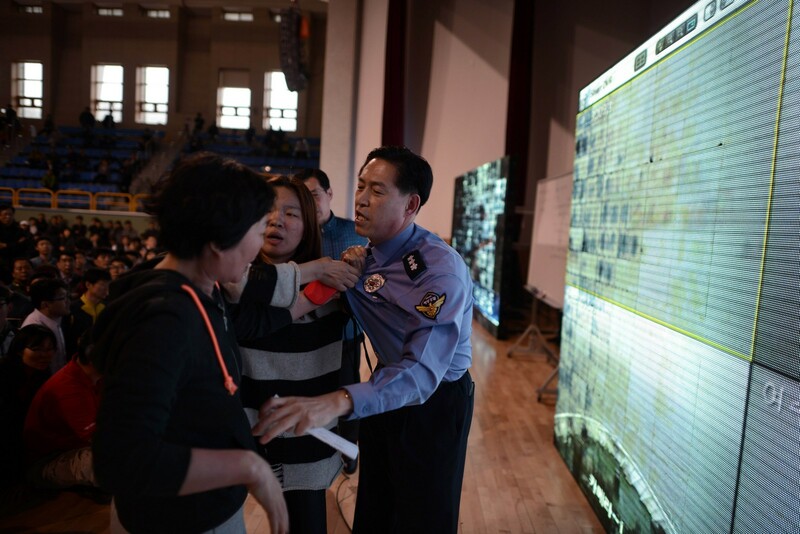 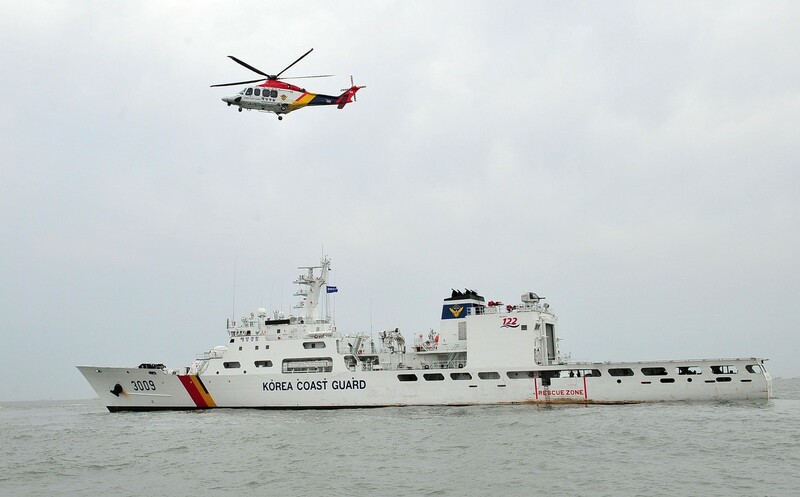 The government initially received a report from the central command center that 368 of 477 people had been rescued, and 107 were unaccounted for. 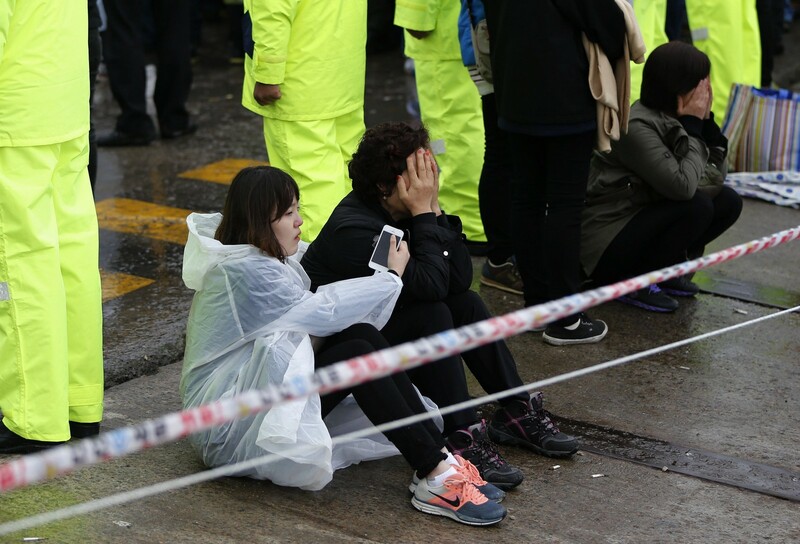 The information was made public around 2 p.m. Wednesday. 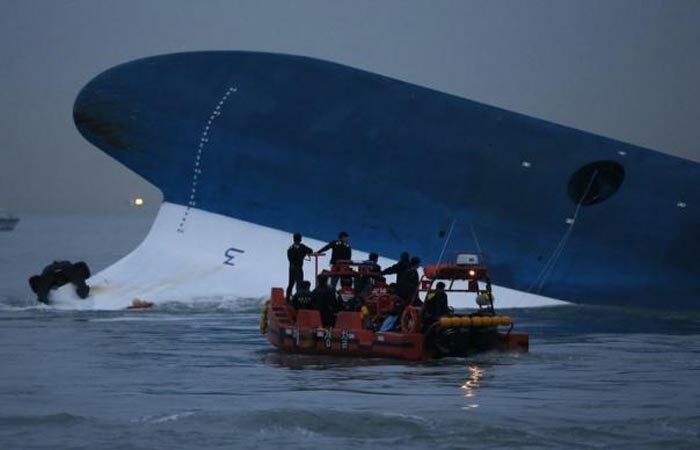 The Coast Guard, however, reported that the numbers were incorrect.